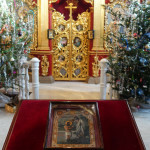 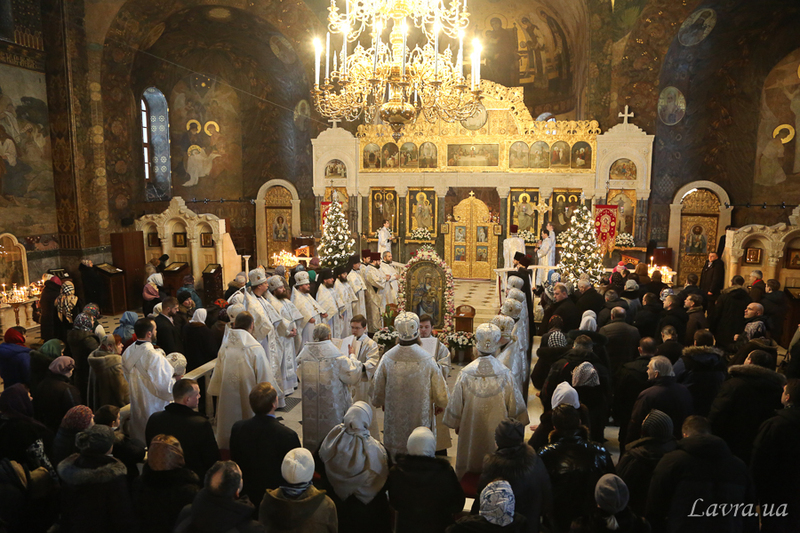 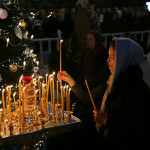 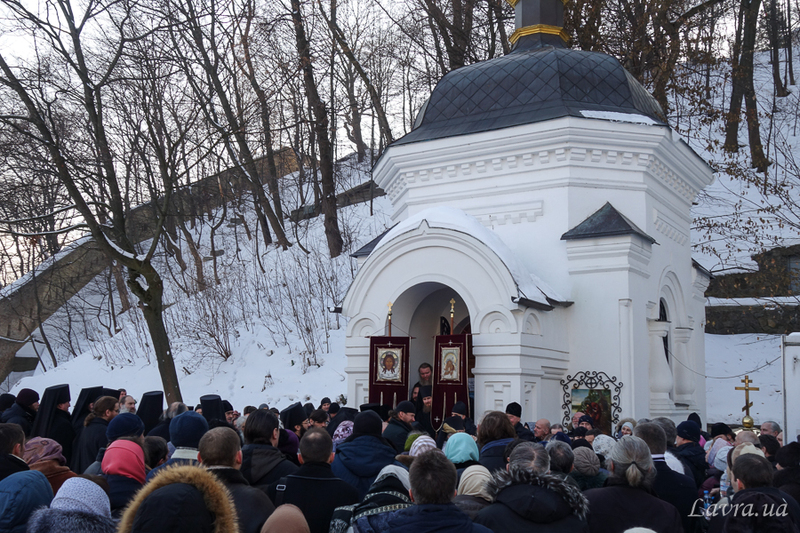 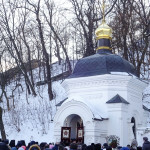 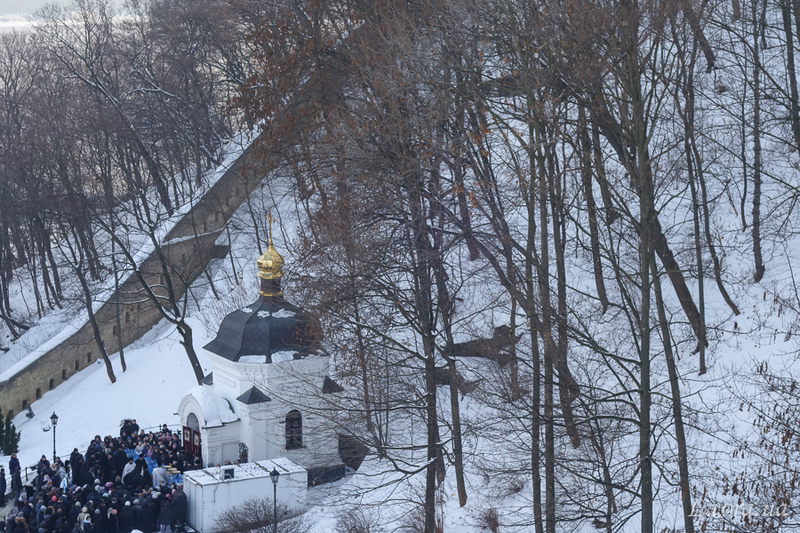 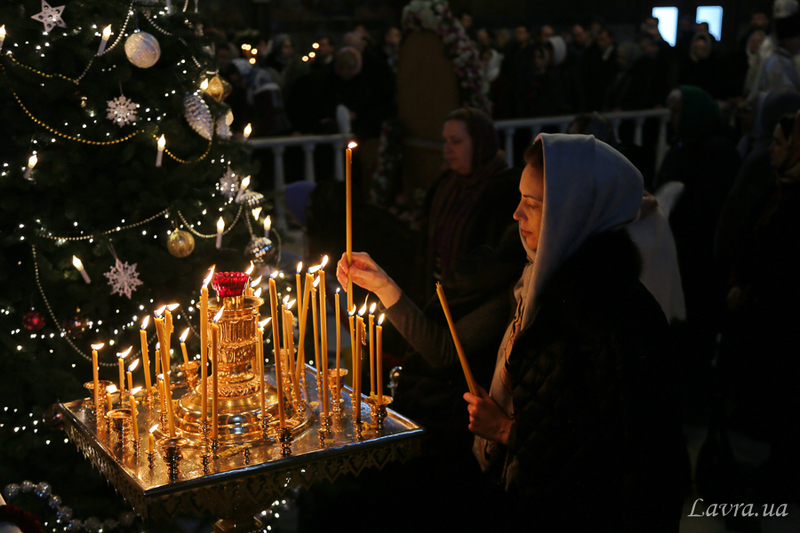 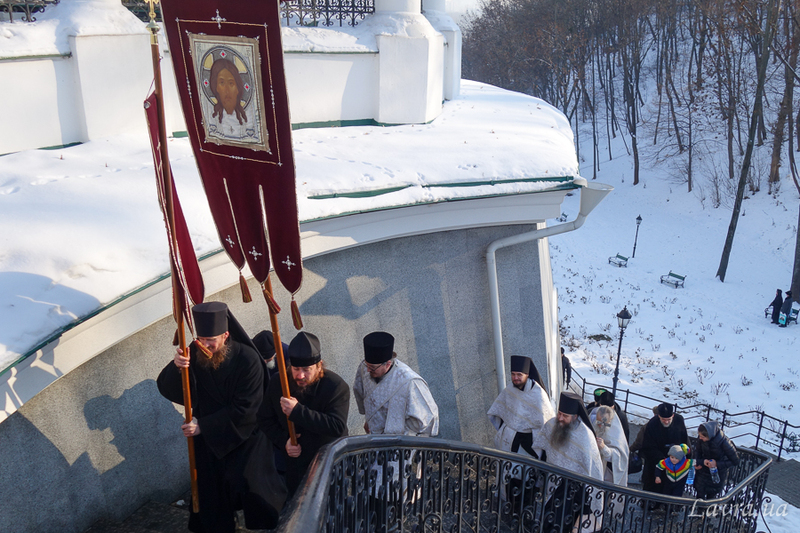 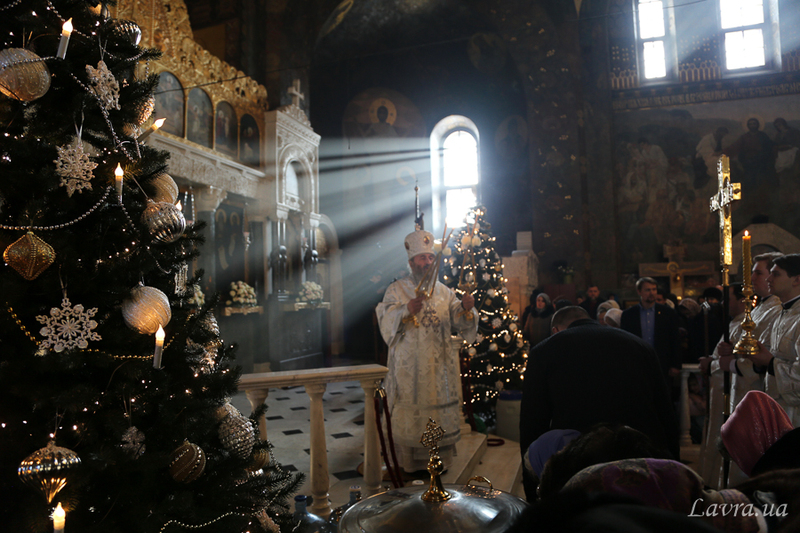 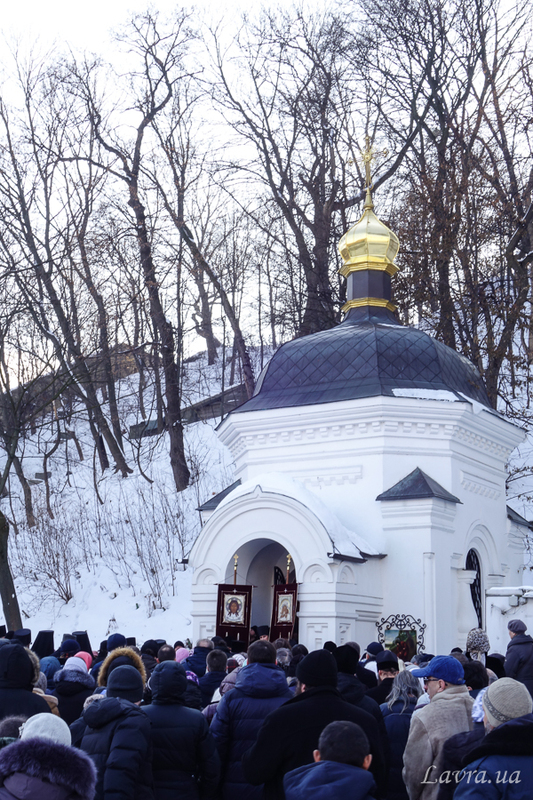 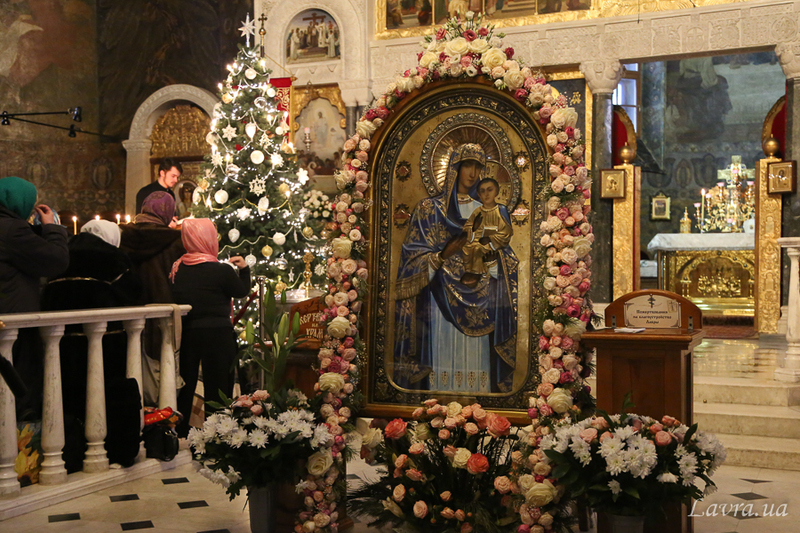 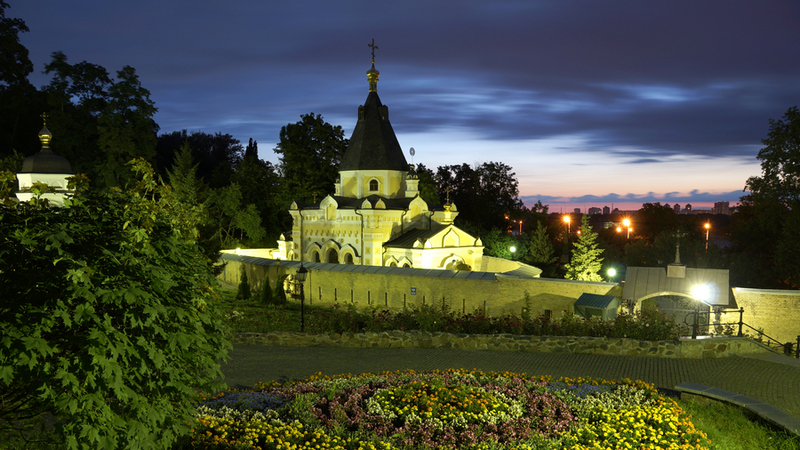 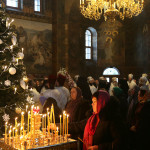 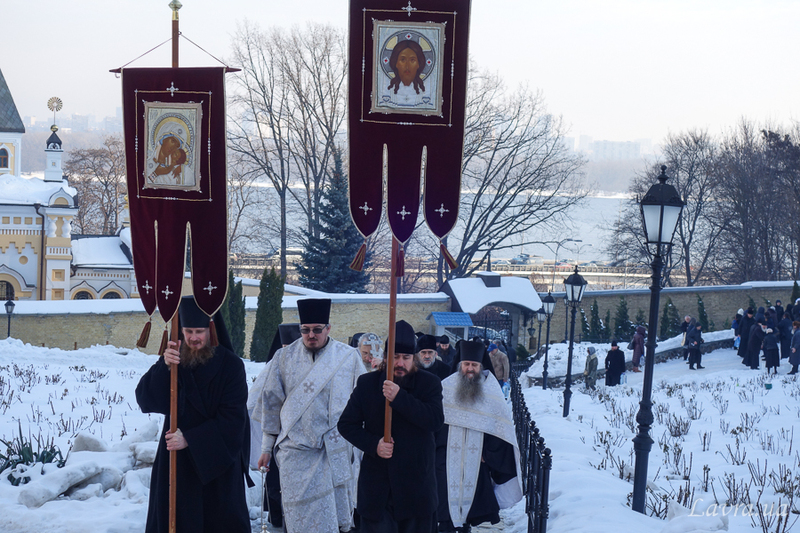 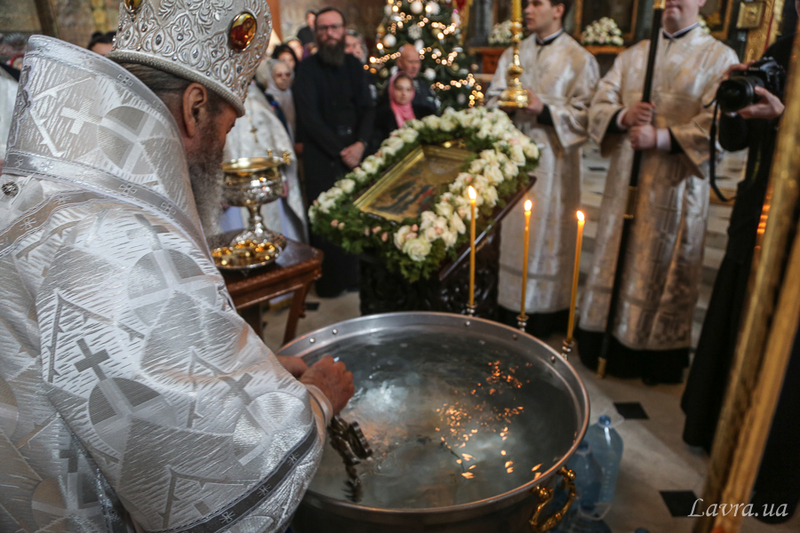 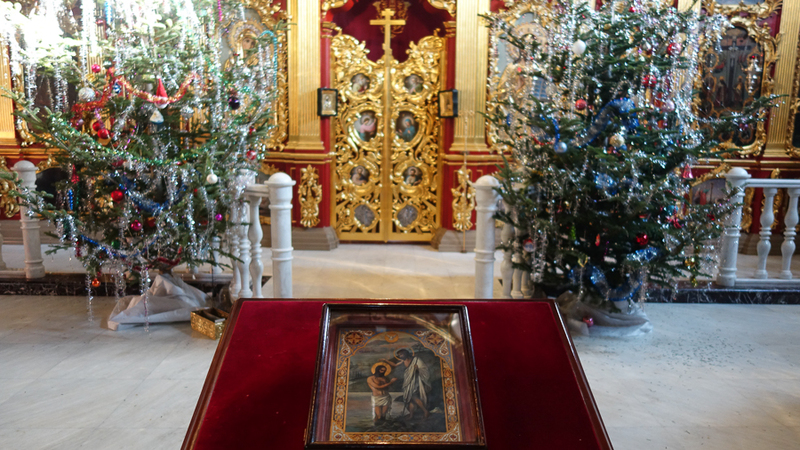 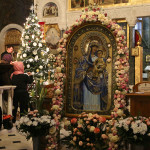 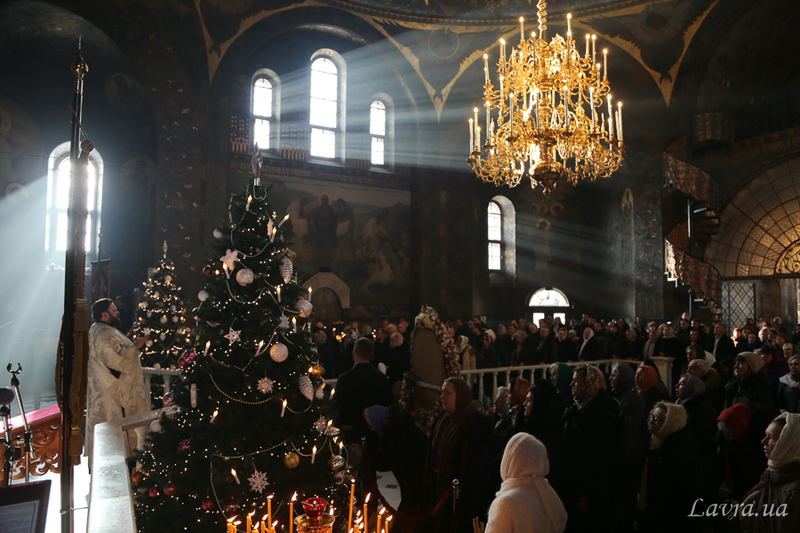 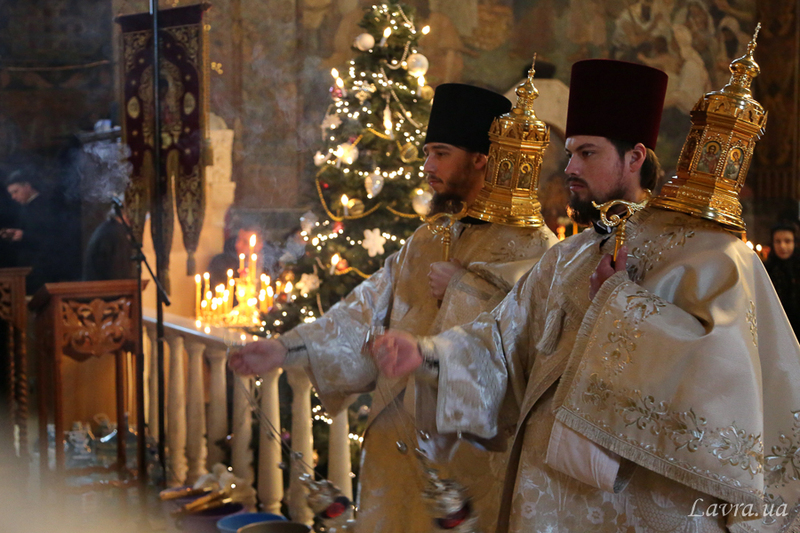 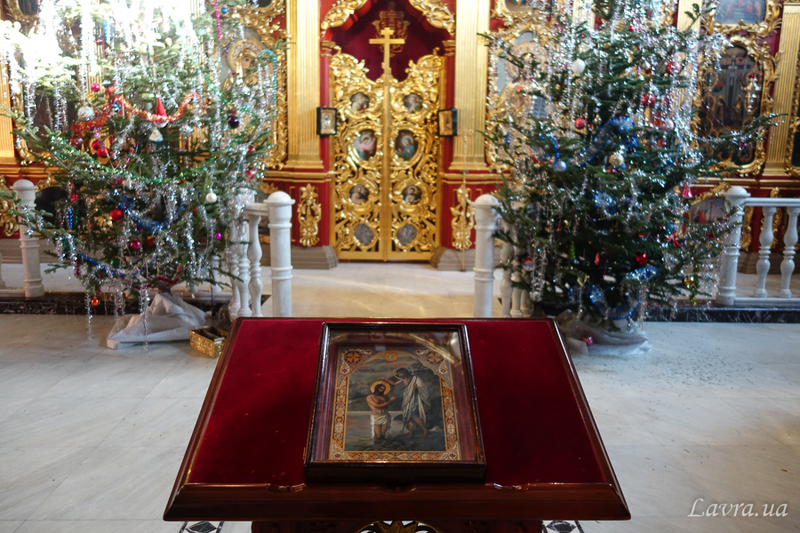 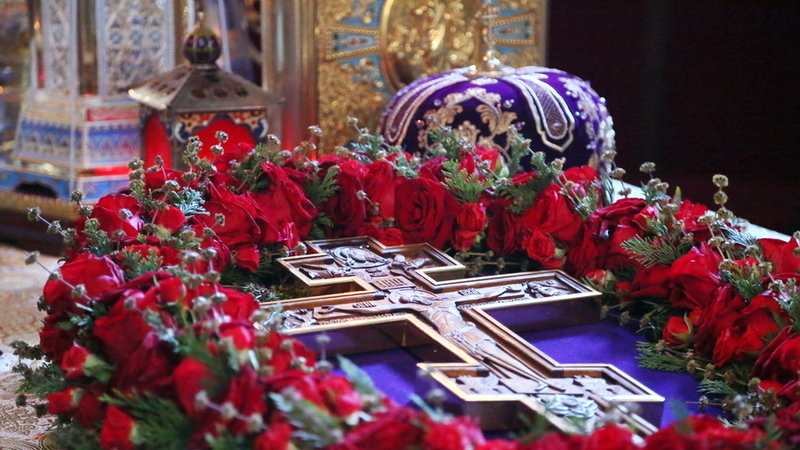 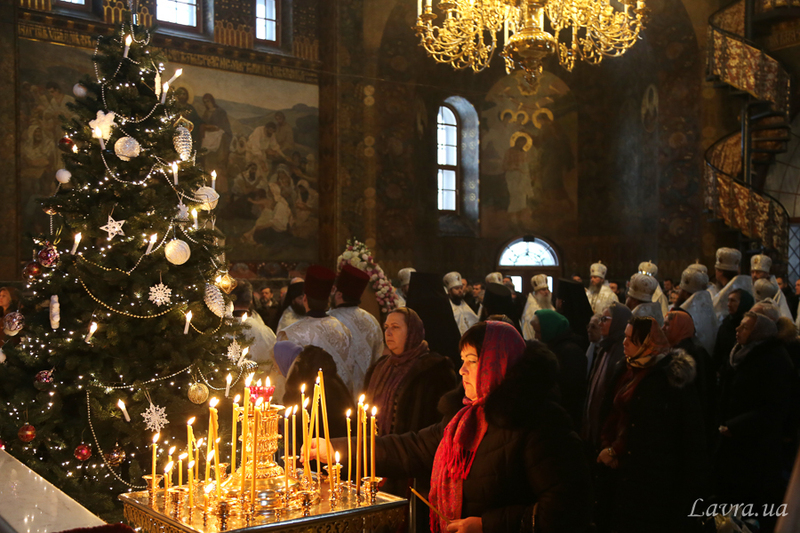 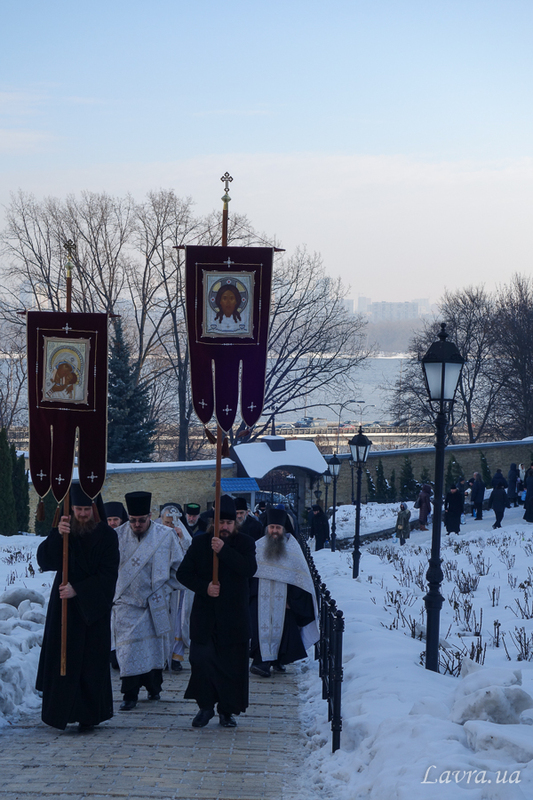 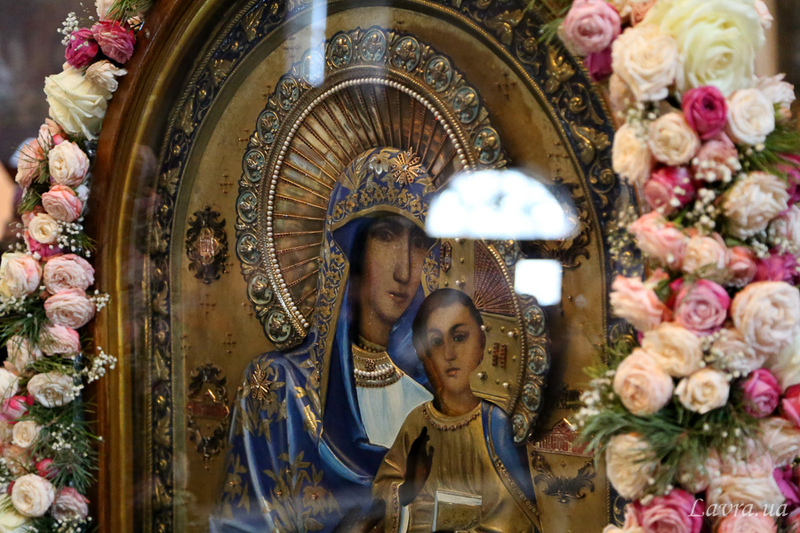 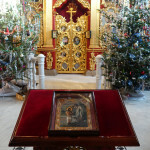 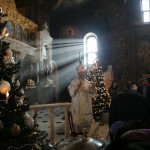 On the Eve of the great feast of Baptism of Our Lord, also named the Holy Epiphany there were performed 2 services (the Royal Hours, followed by Vespers and the Liturgy of Saint Basil the Great) at the Dormition Kyiv-Caves Lavra. 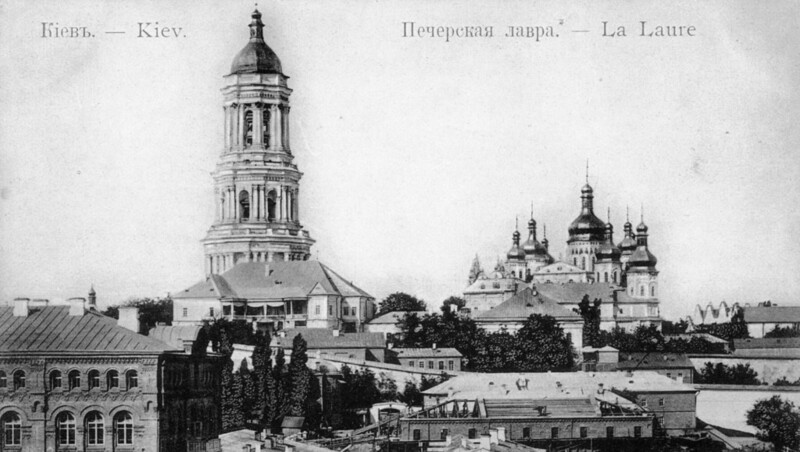 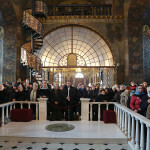 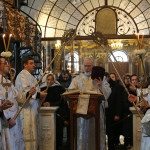 The first service took place at the church of the Exaltation of the Holy Cross. 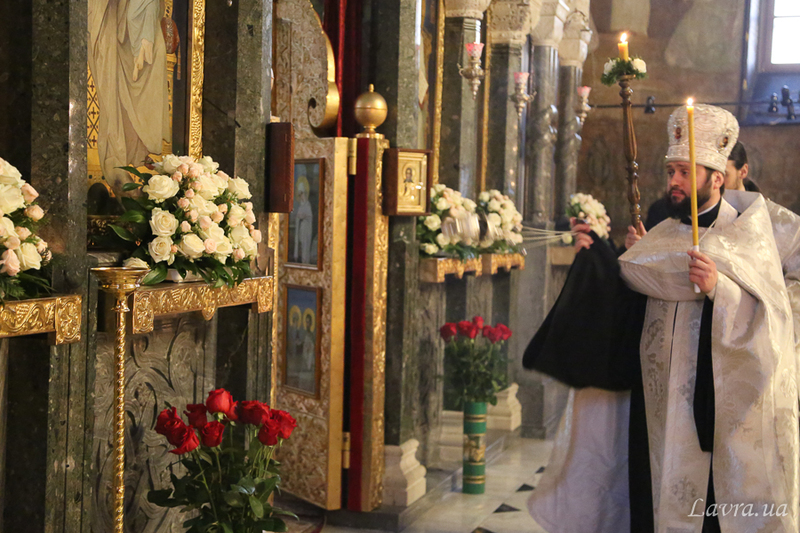 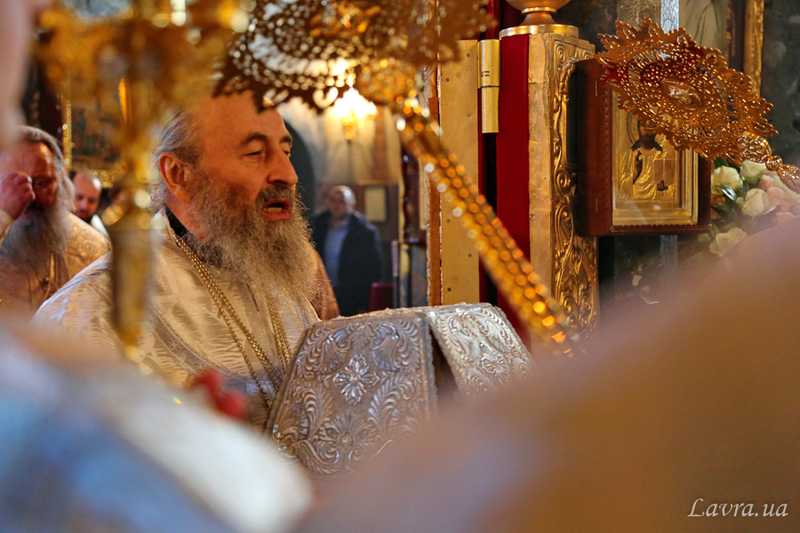 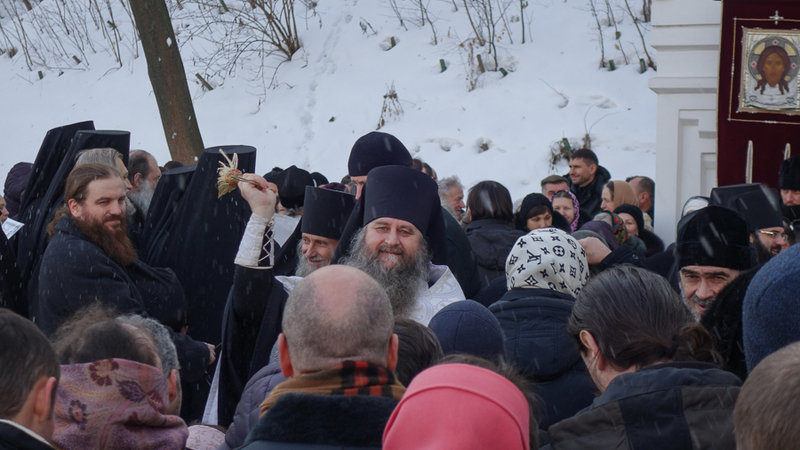 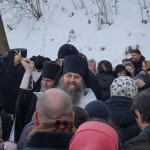 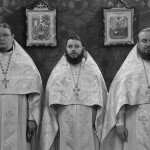 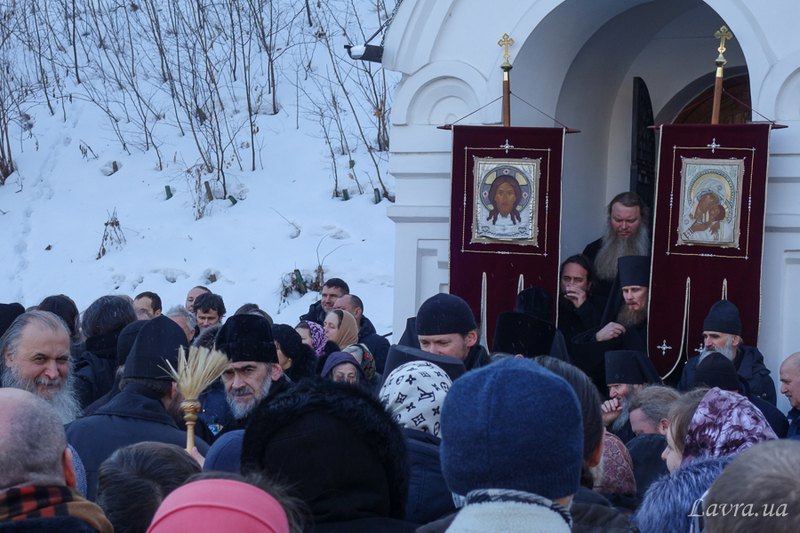 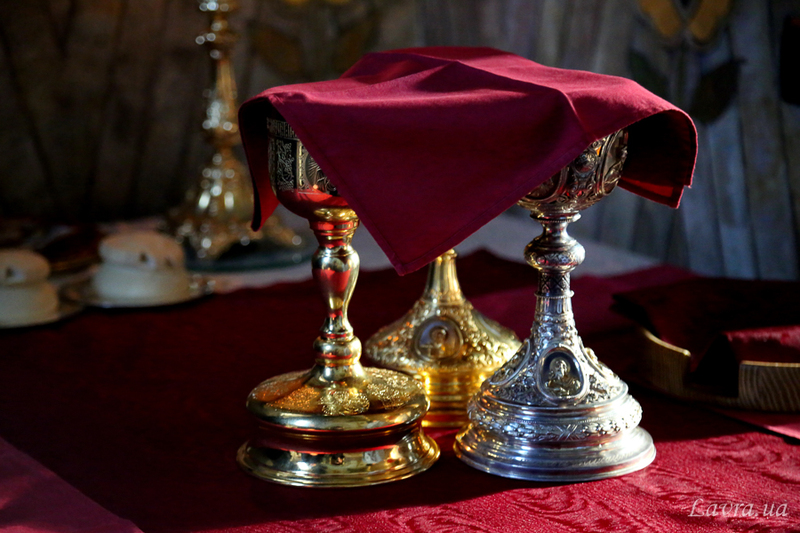 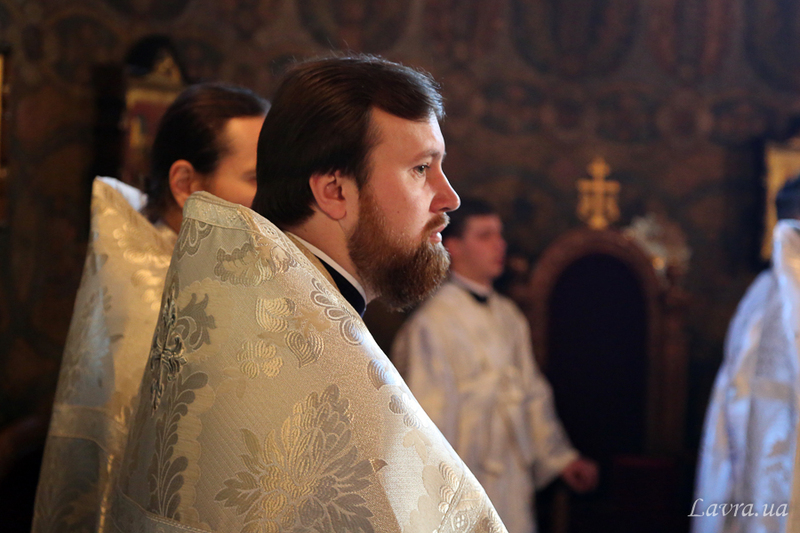 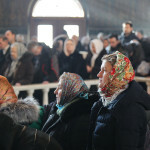 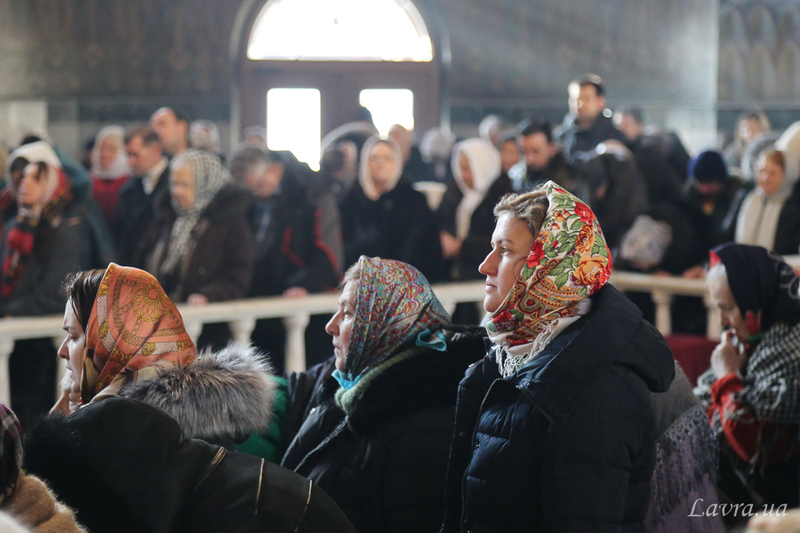 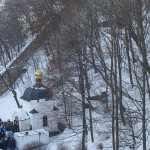 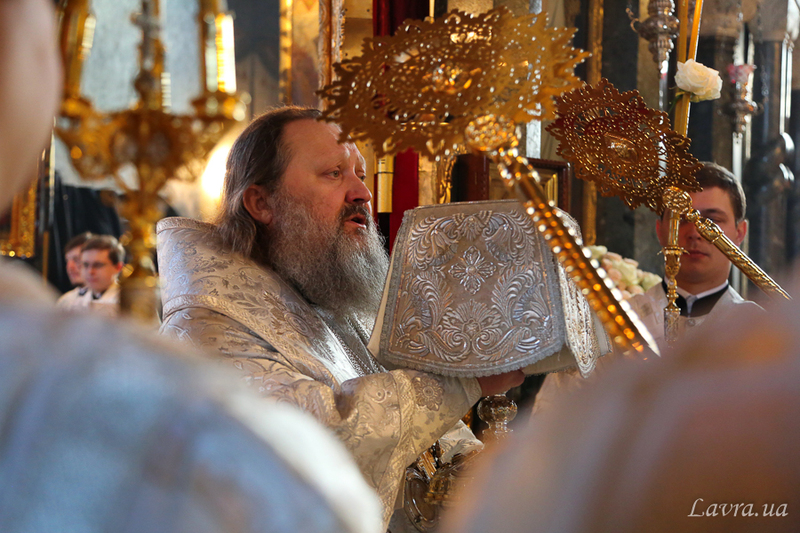 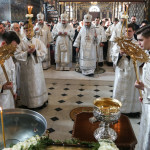 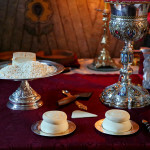 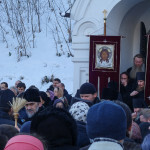 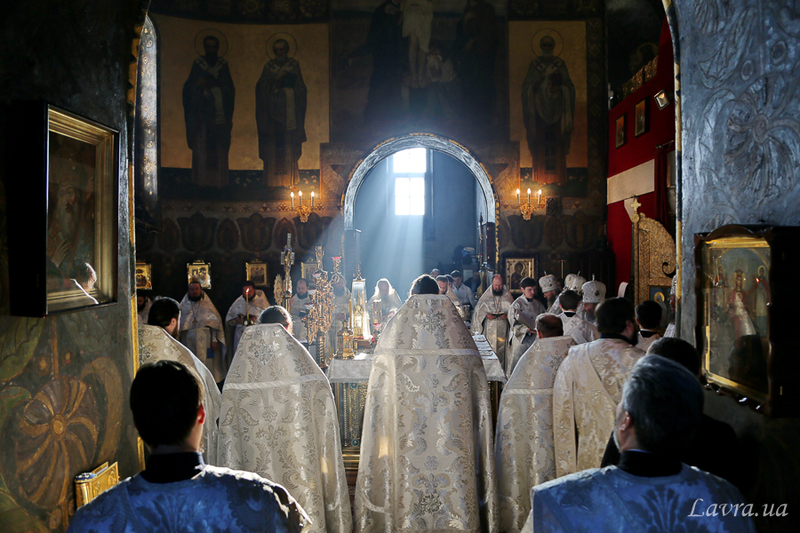 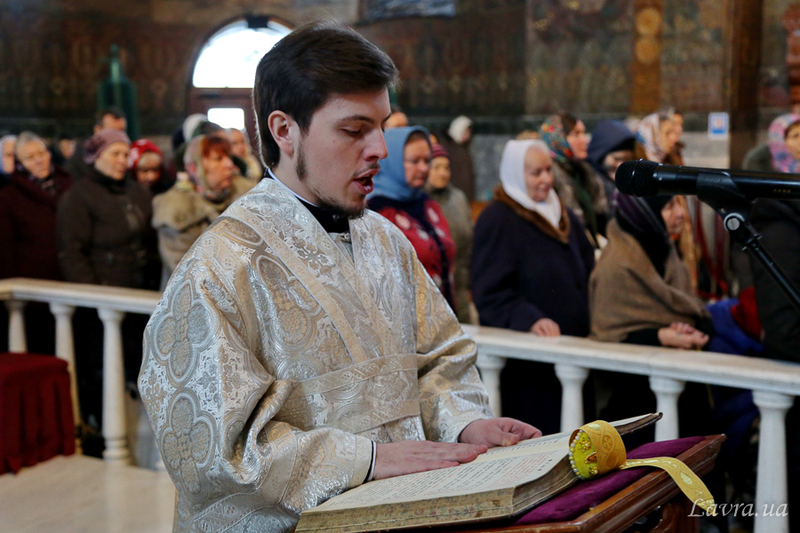 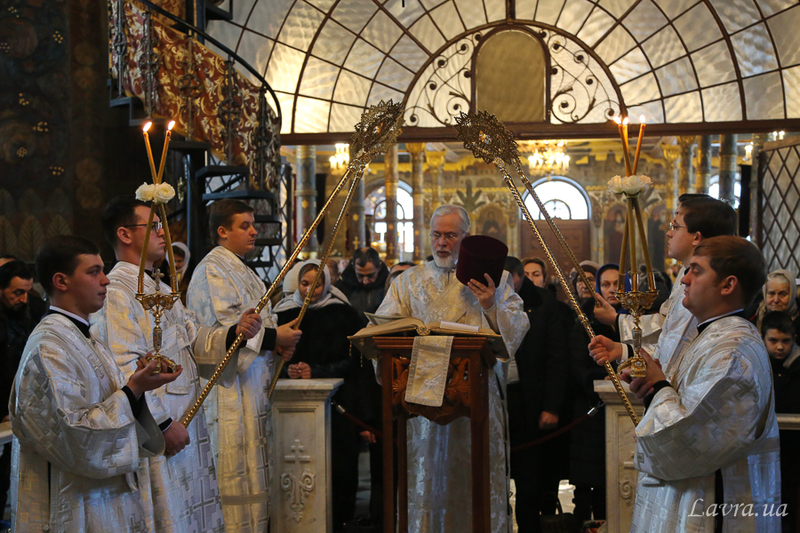 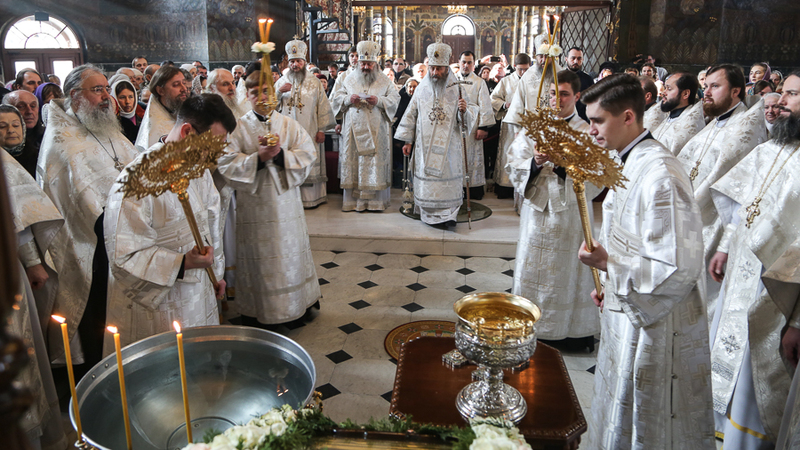 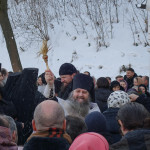 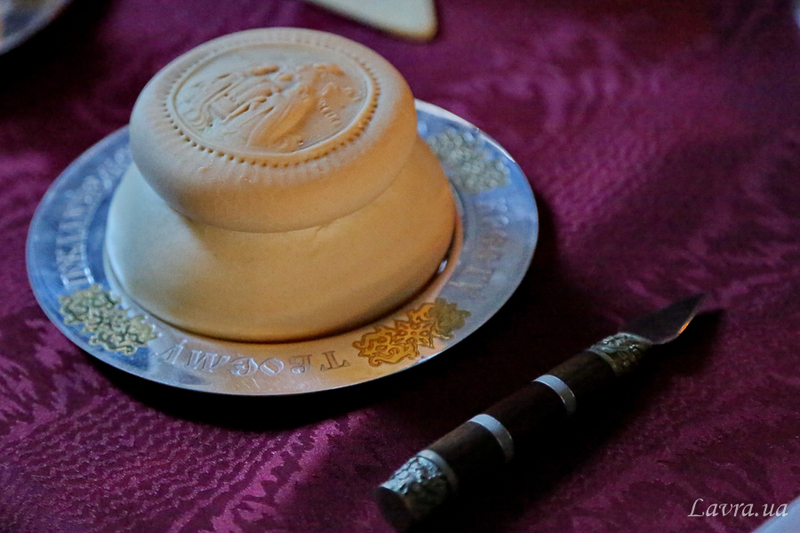 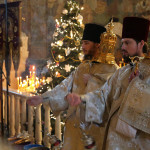 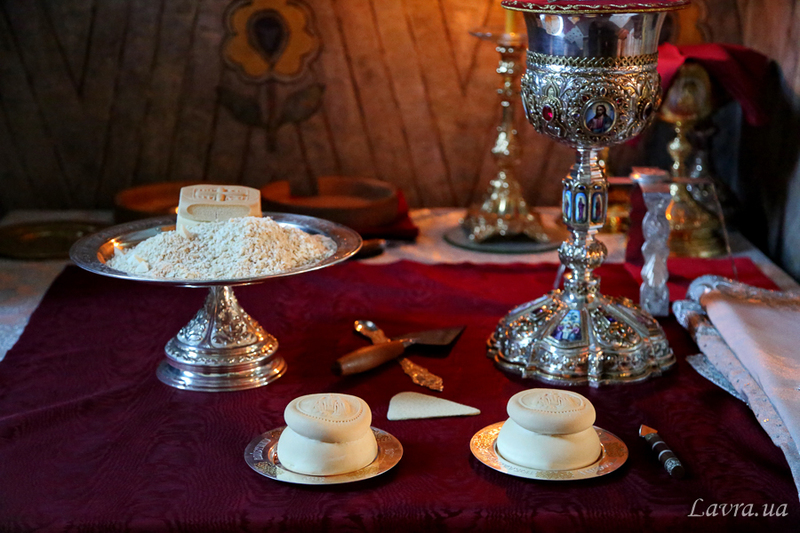 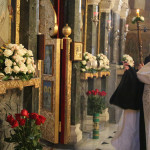 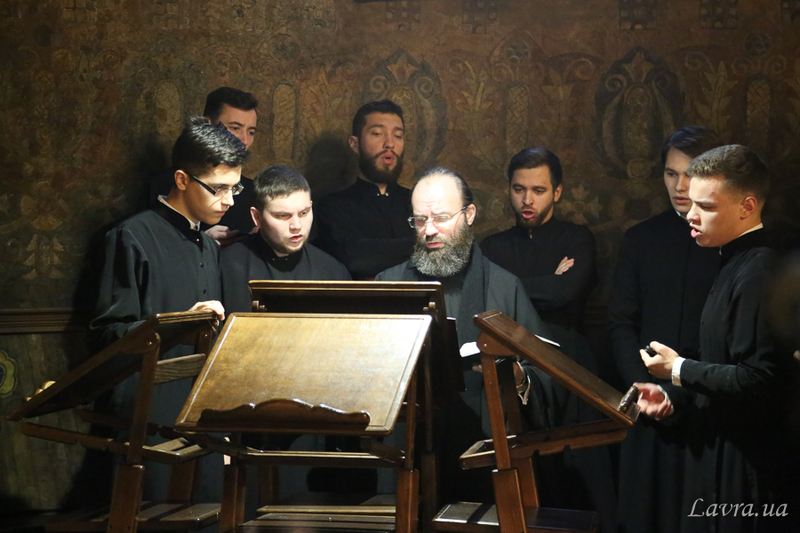 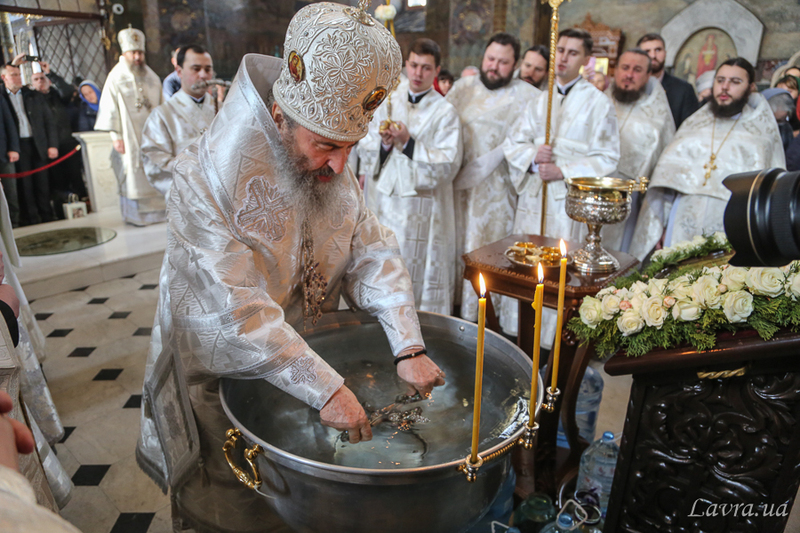 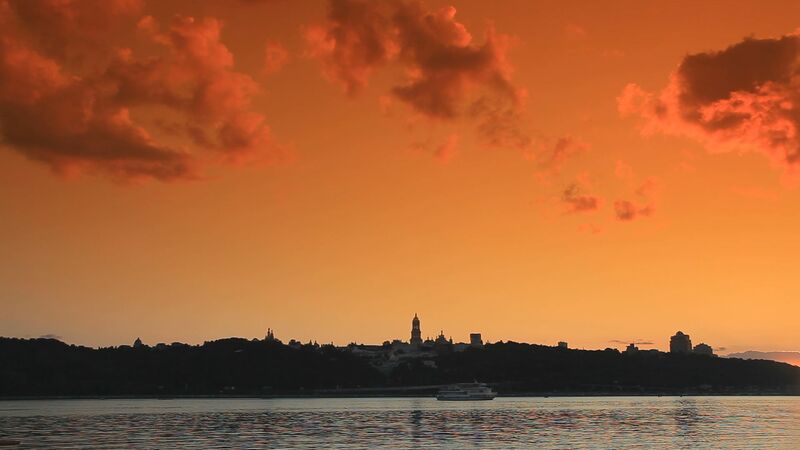 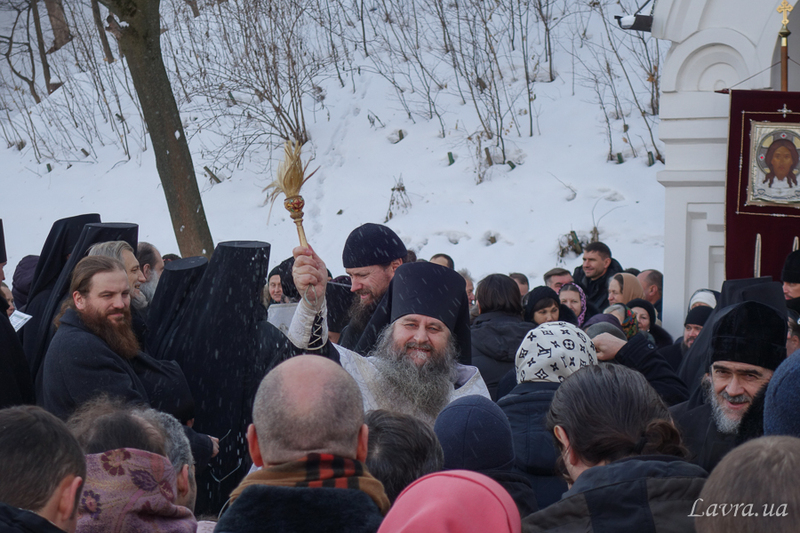 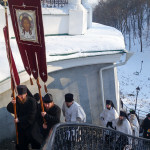 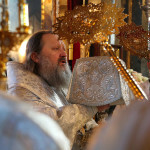 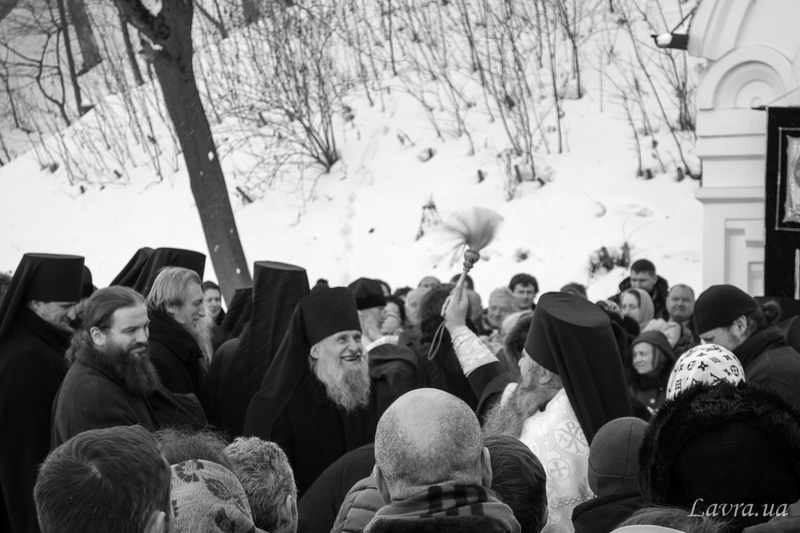 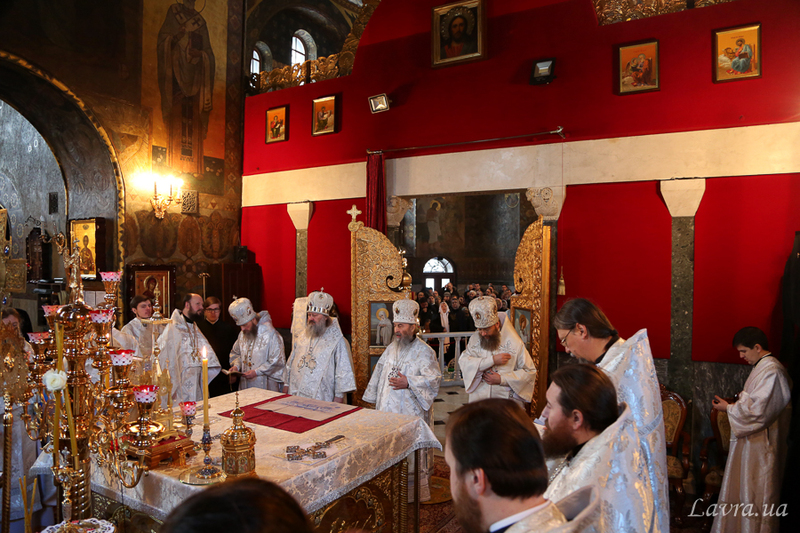 The Great consecration of waters afterwards was led by the treasurer of the monastery archimandrite Nestor, the rural dean archimandrite Anthony and the brethren of the monastery in the holy rite near the well of st. Theodosius Pechersky (Lower part of the Lavra). 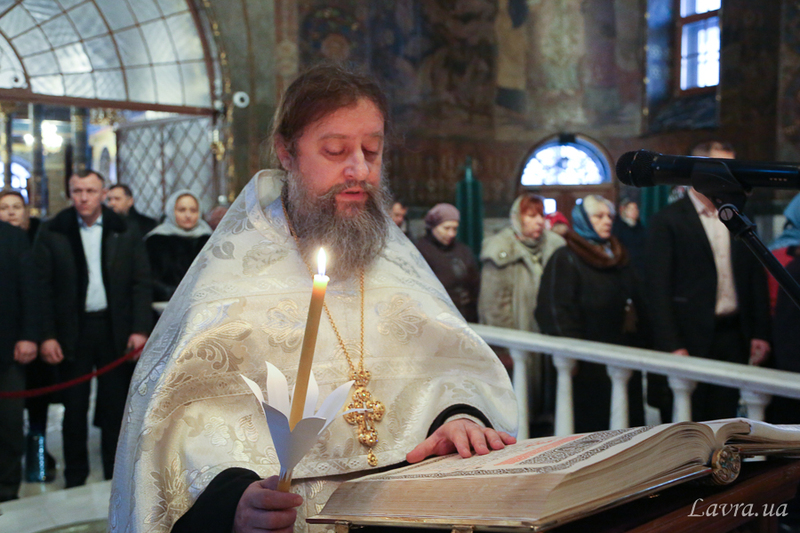 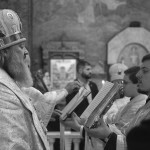 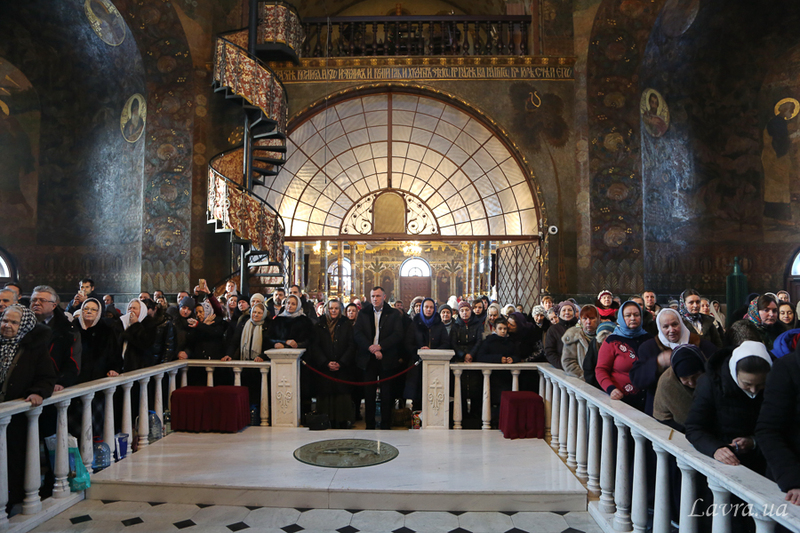 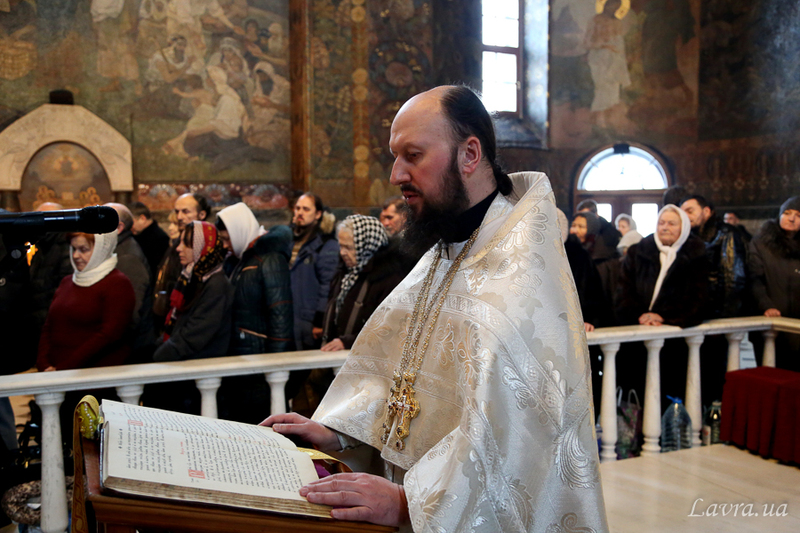 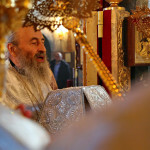 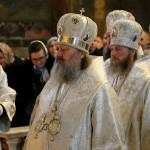 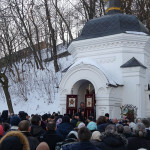 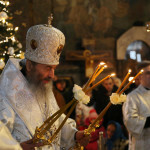 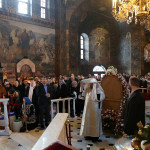 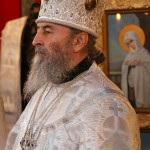 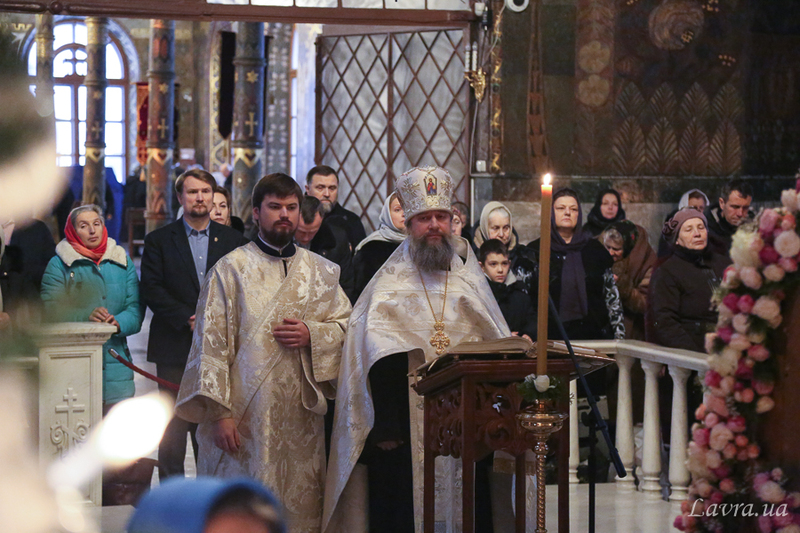 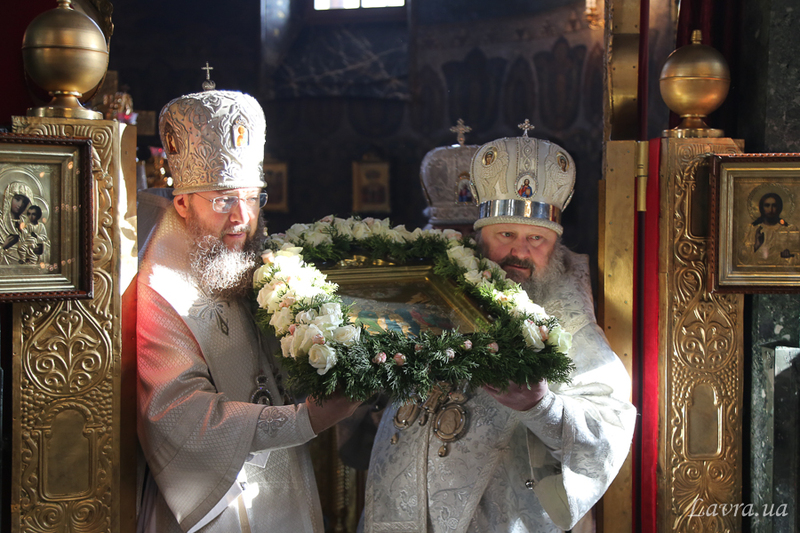 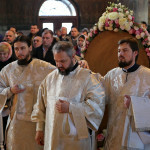 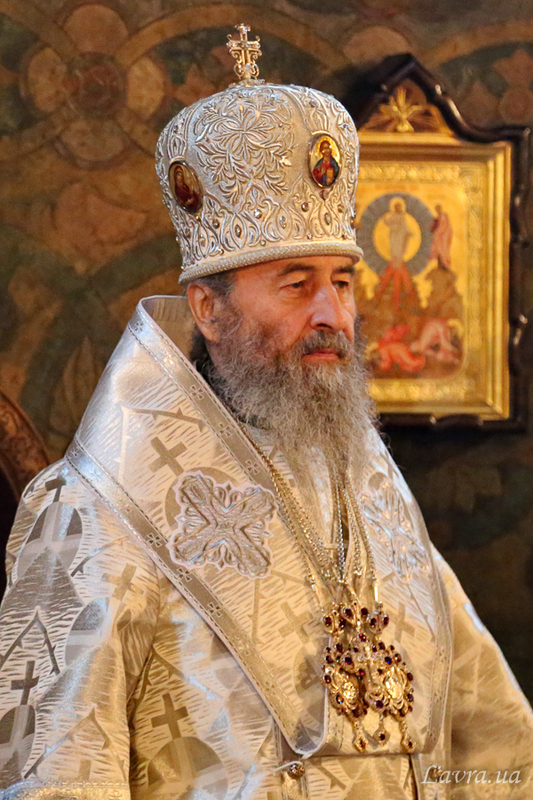 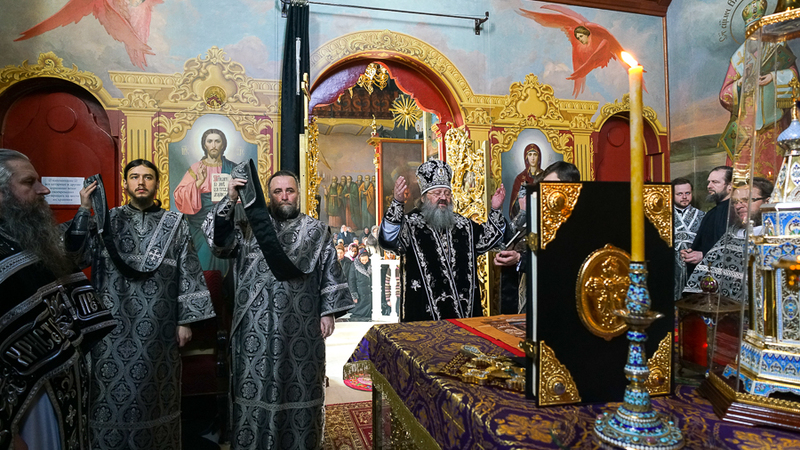 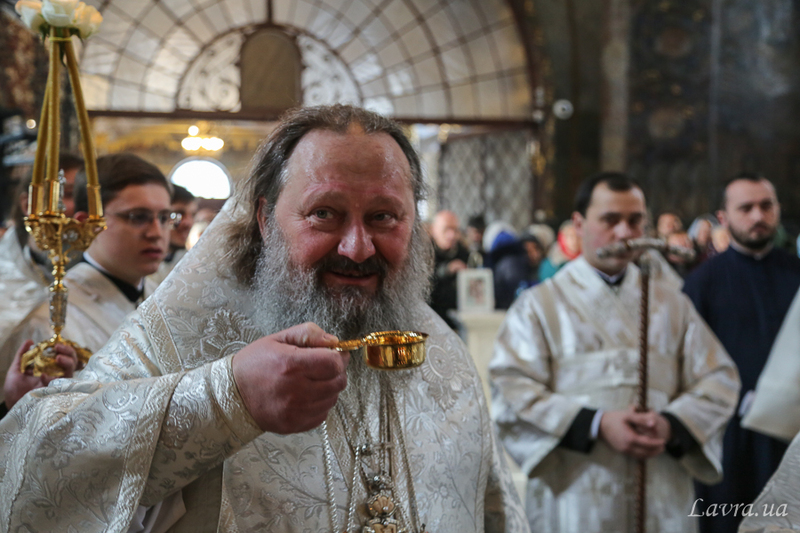 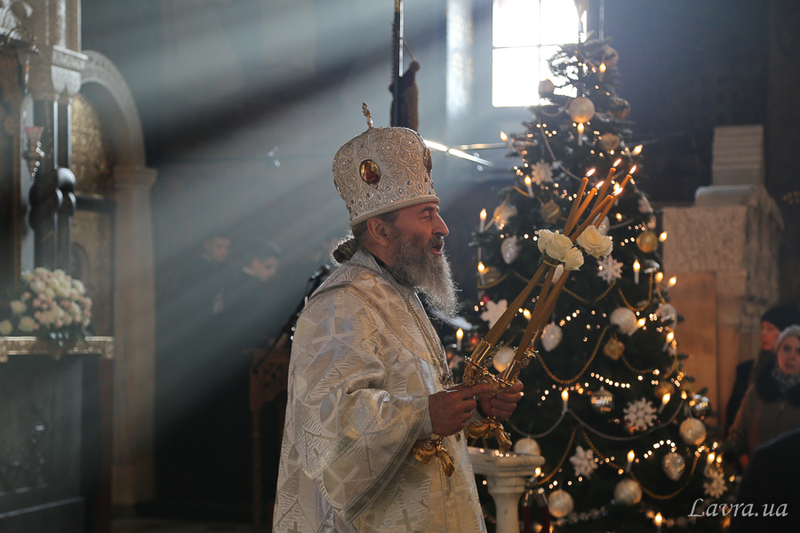 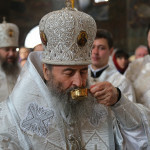 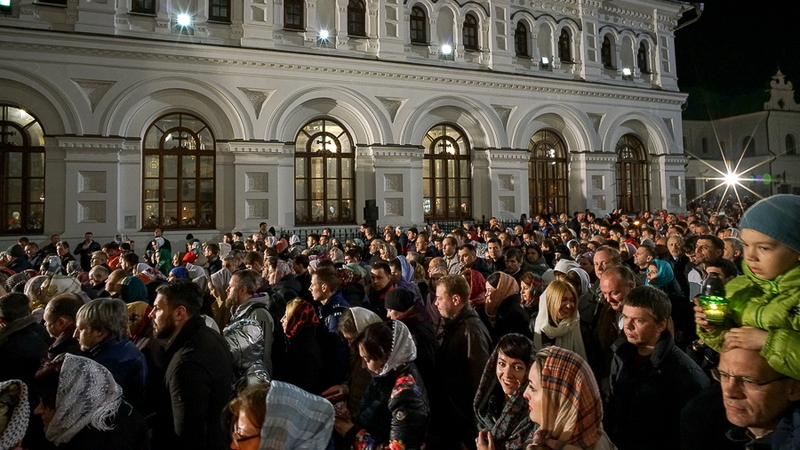 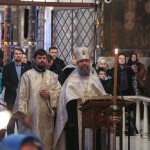 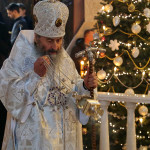 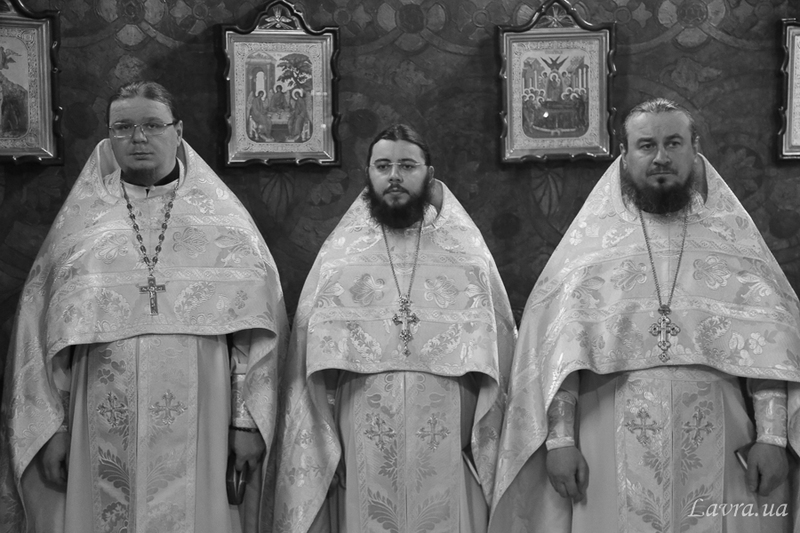 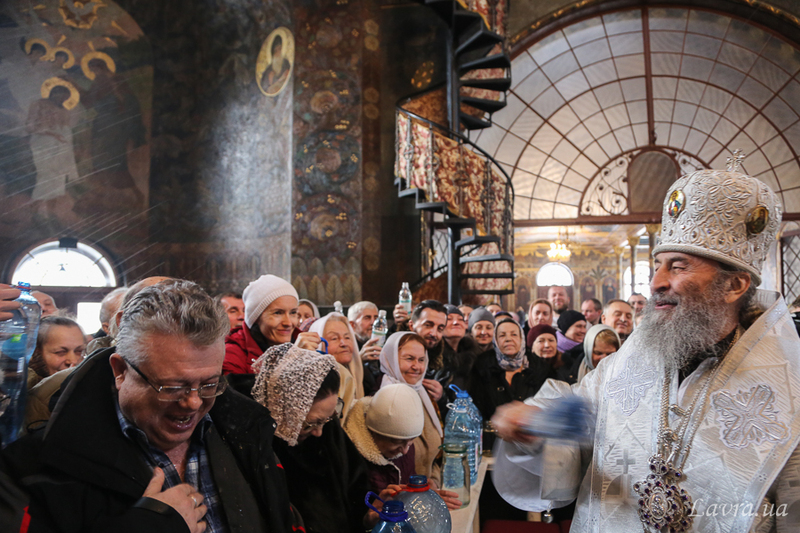 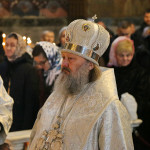 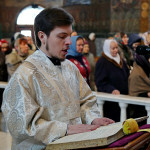 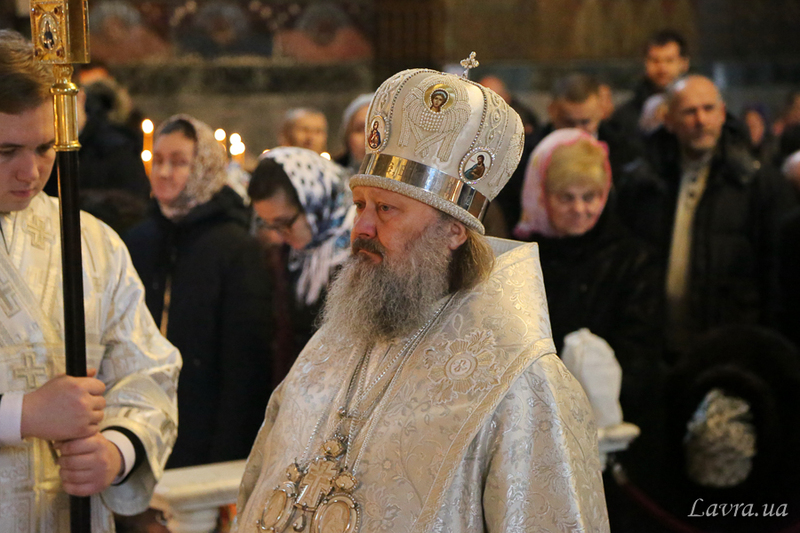 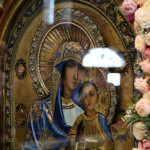 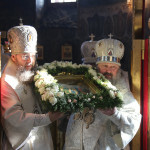 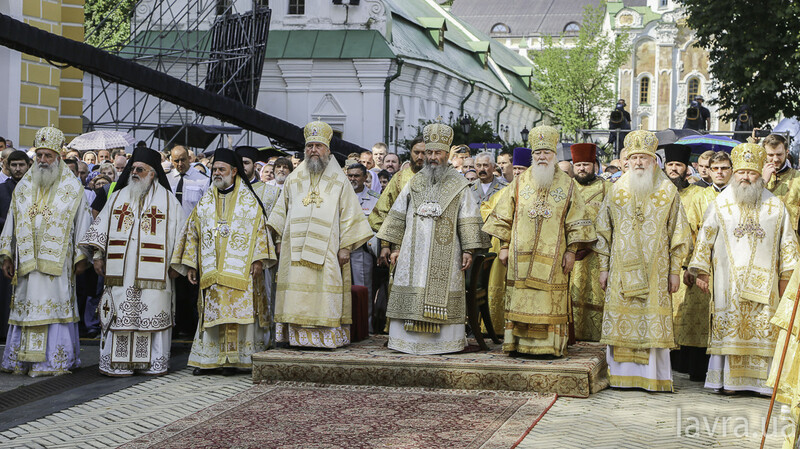 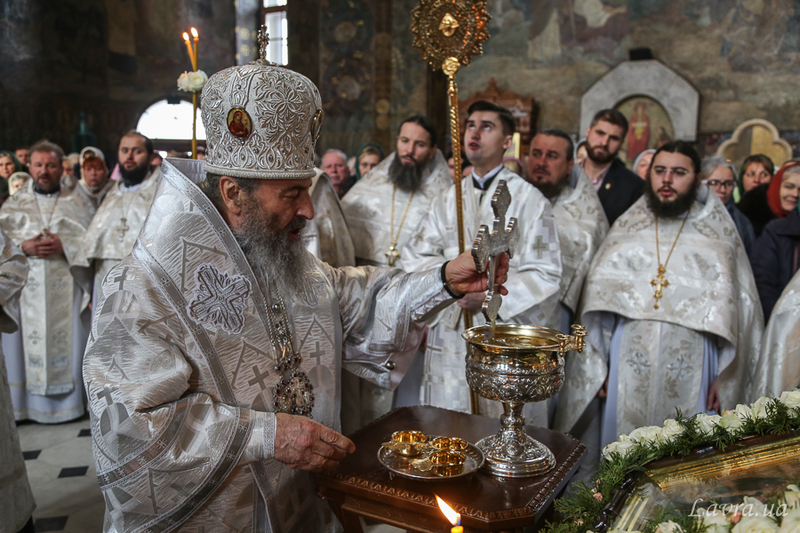 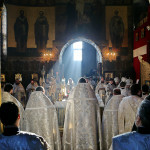 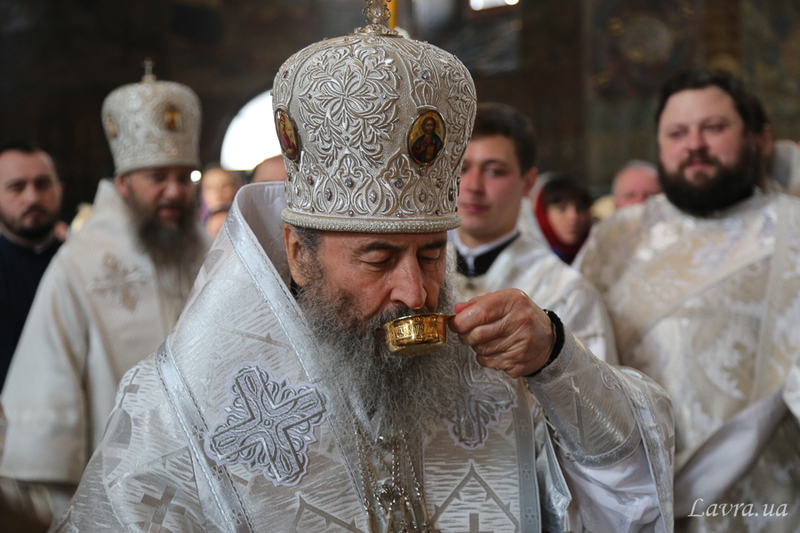 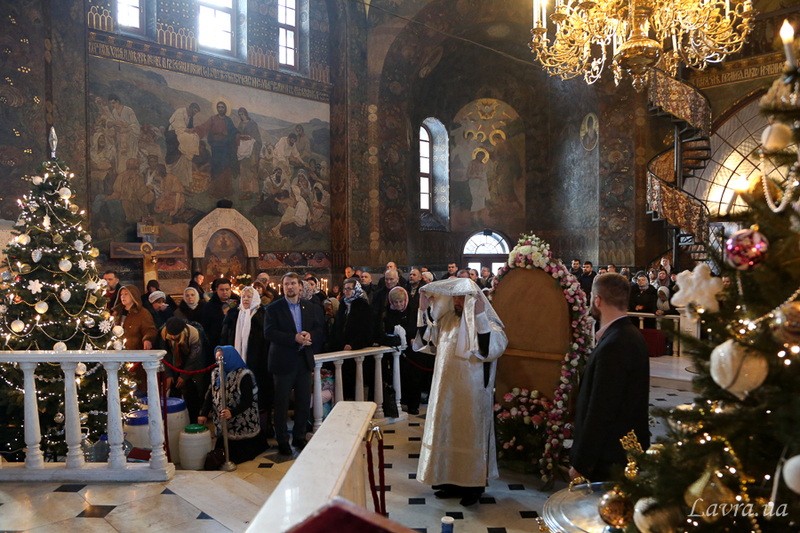 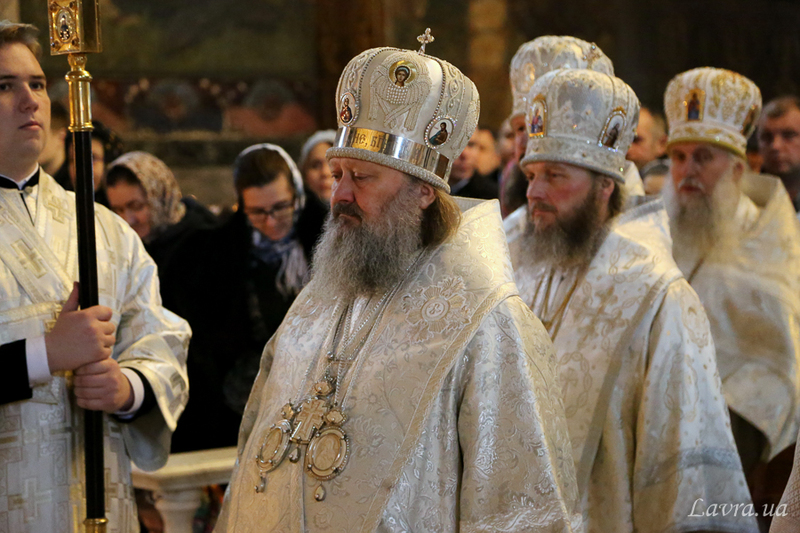 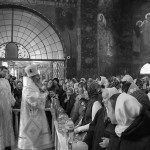 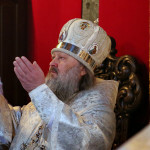 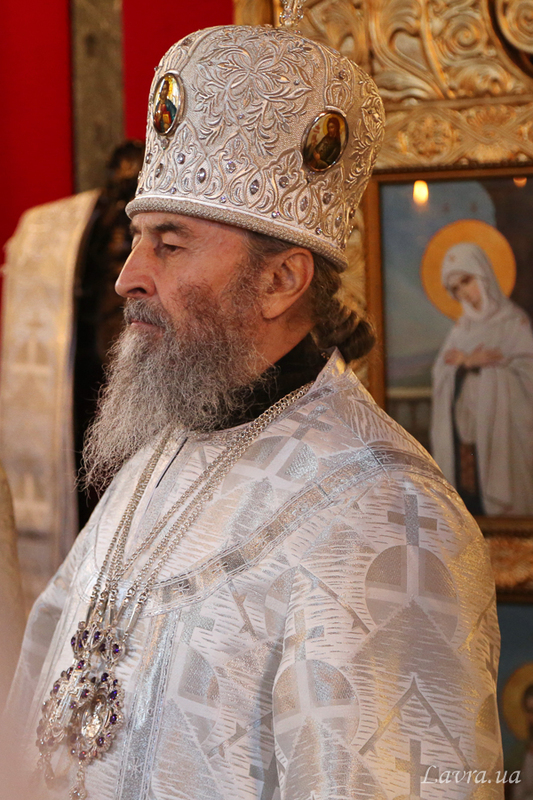 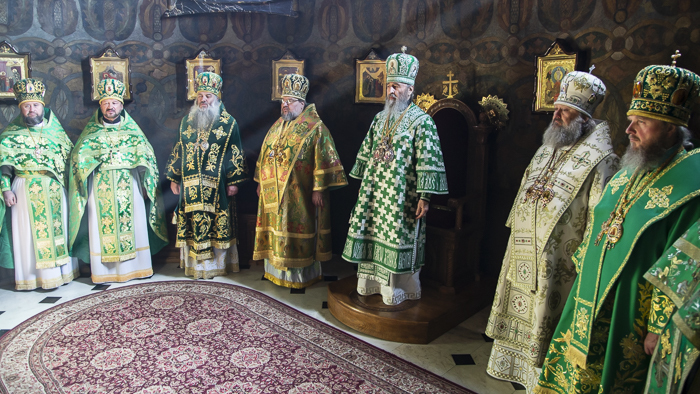 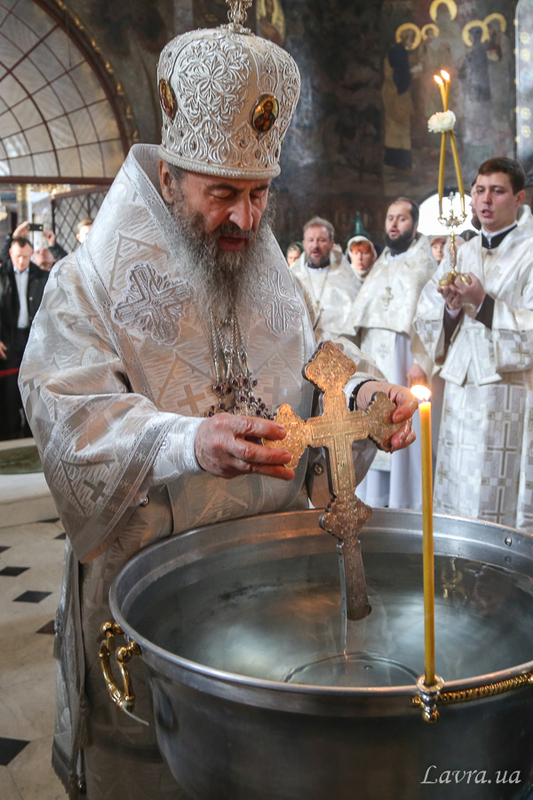 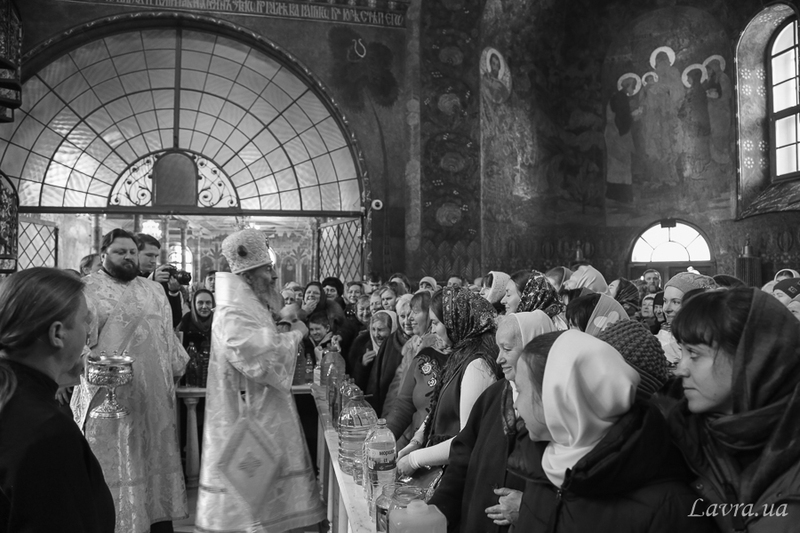 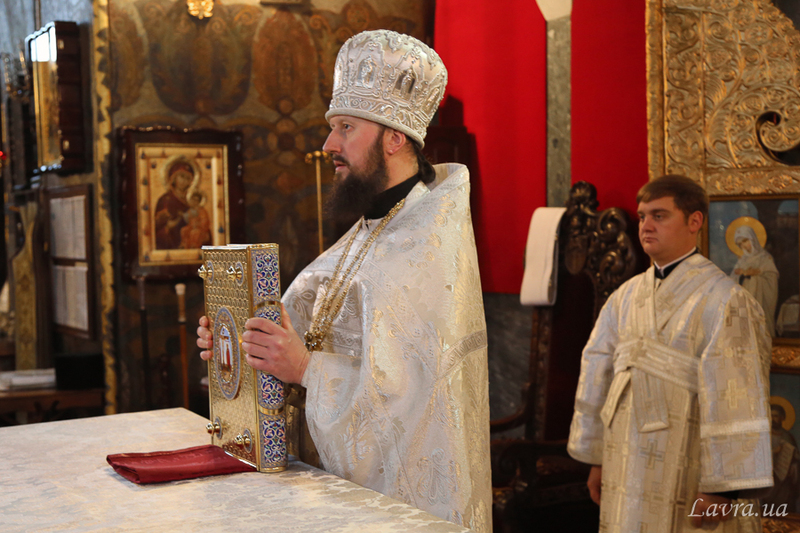 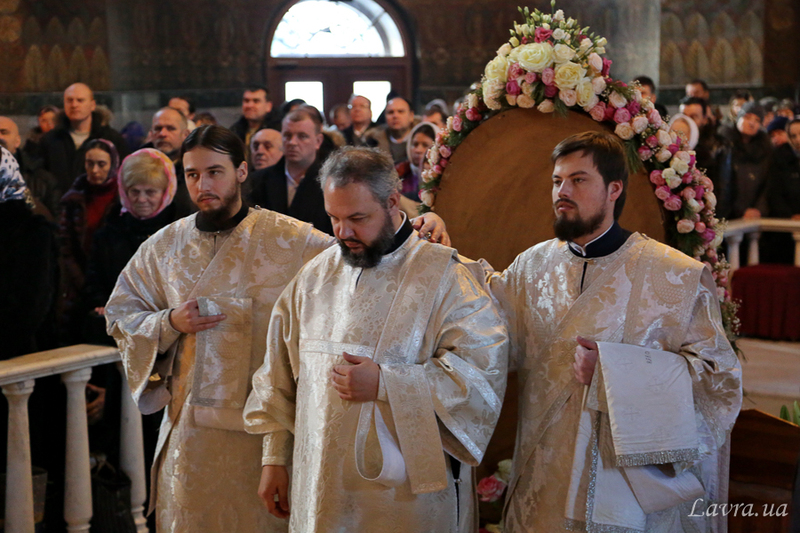 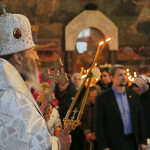 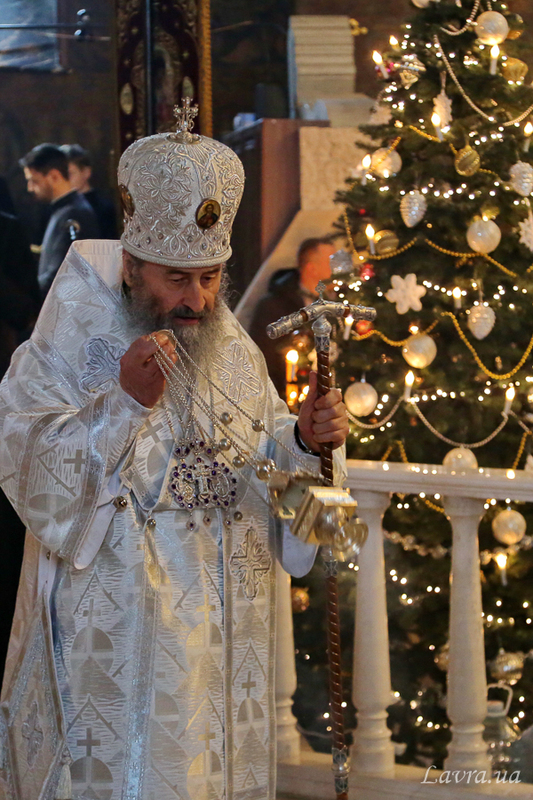 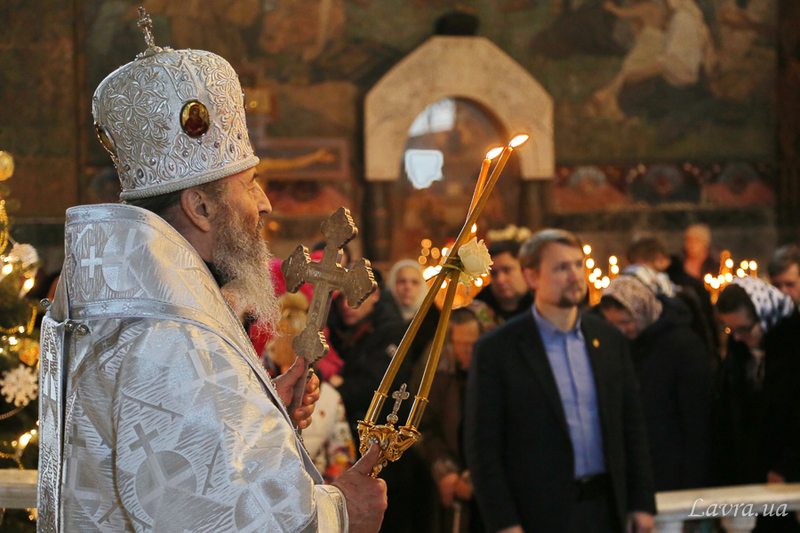 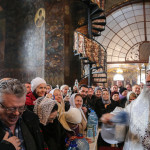 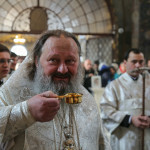 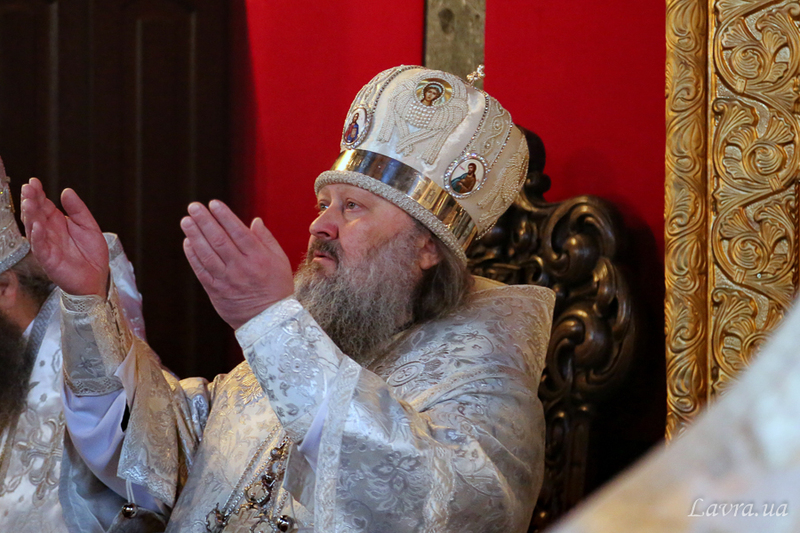 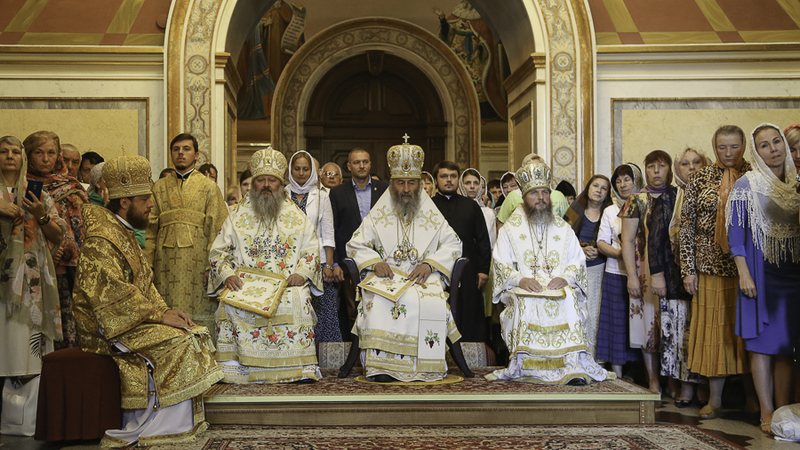 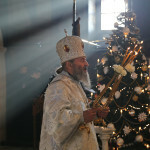 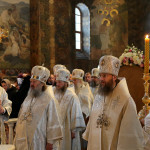 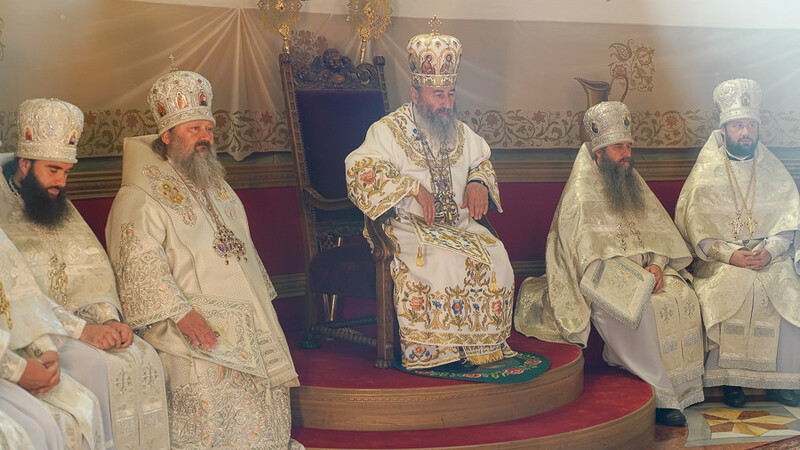 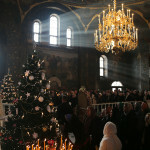 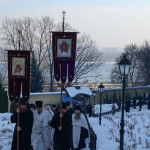 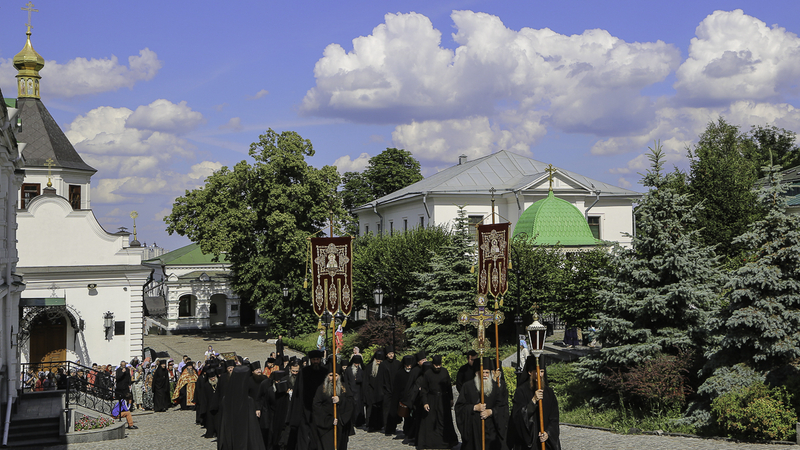 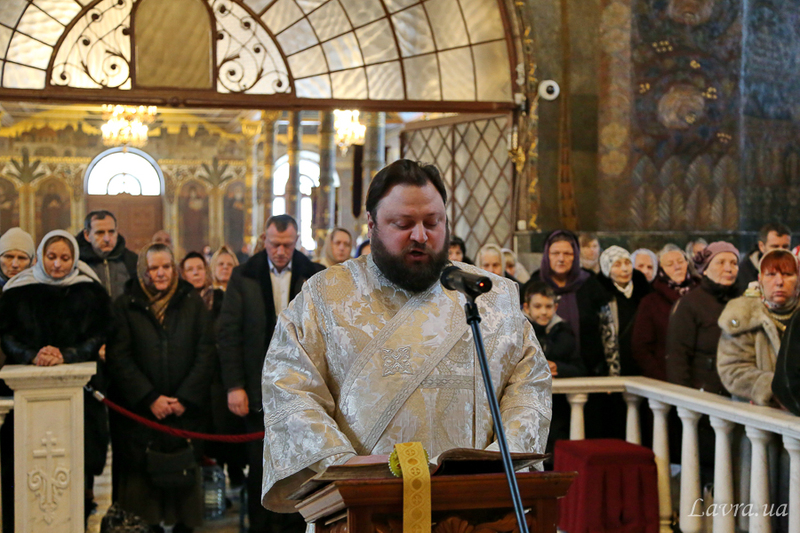 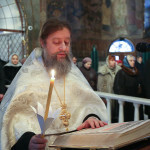 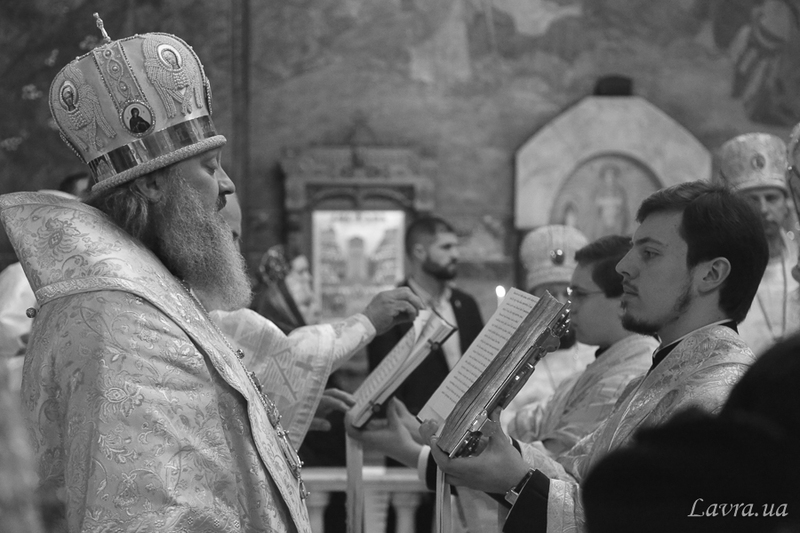 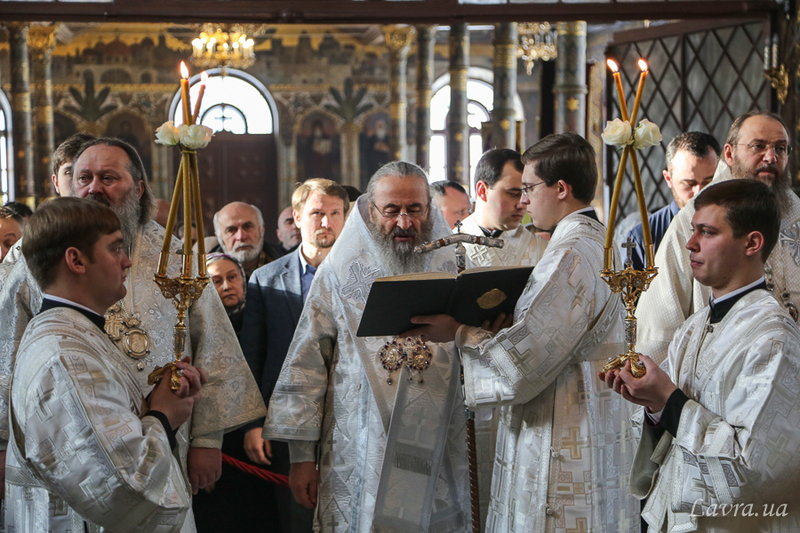 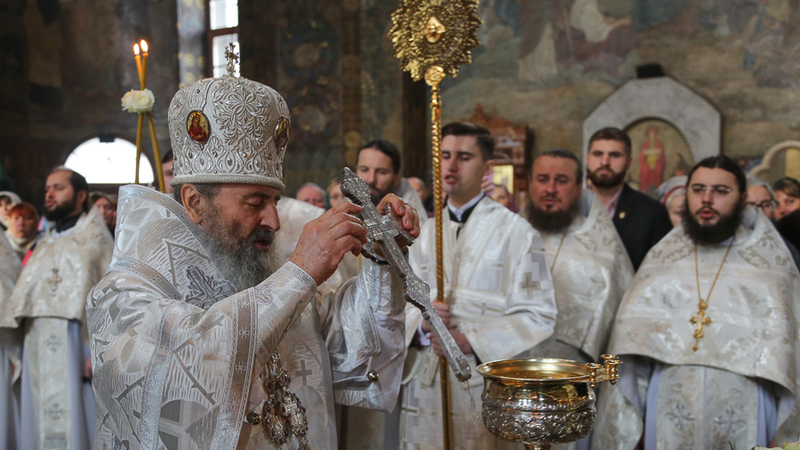 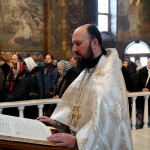 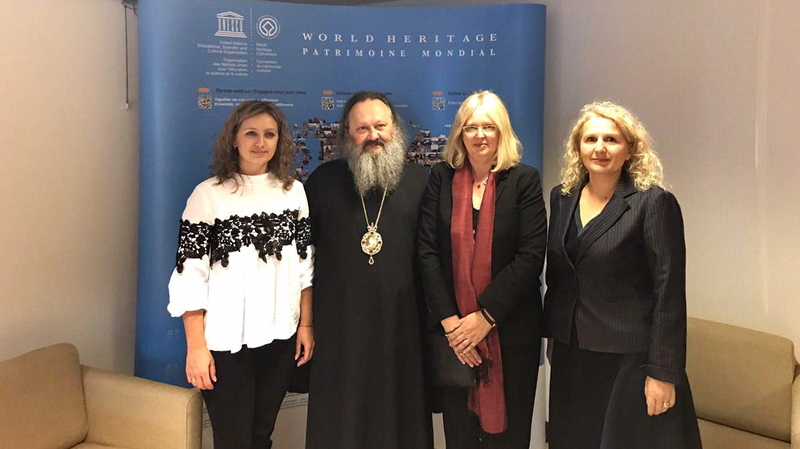 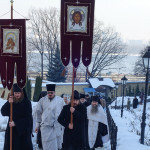 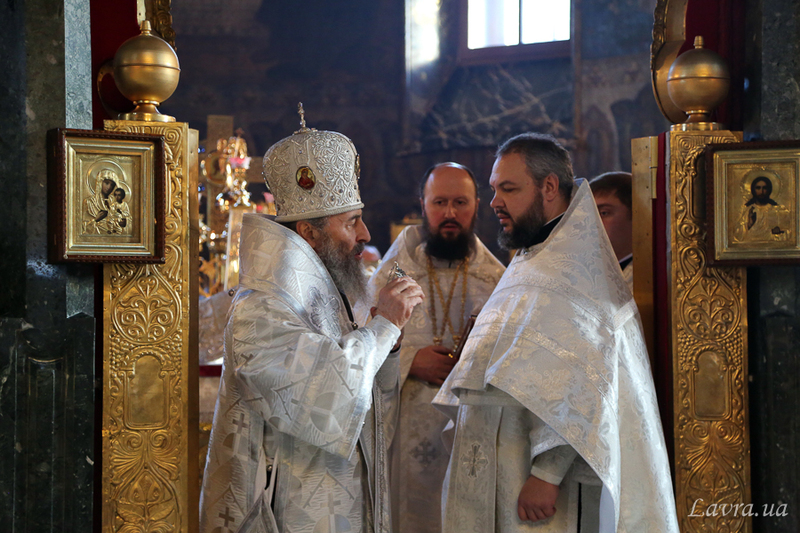 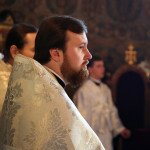 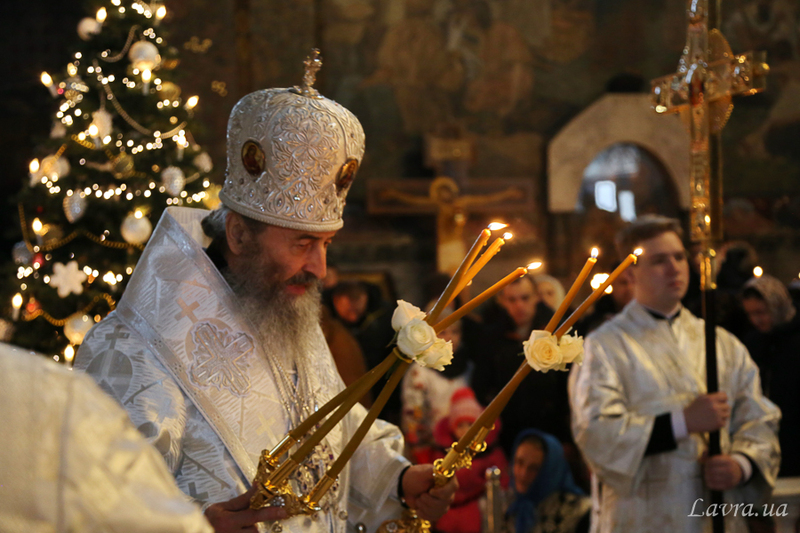 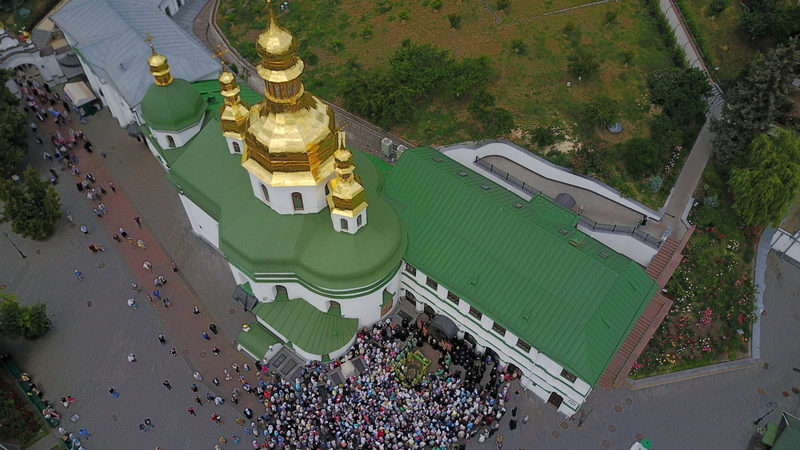 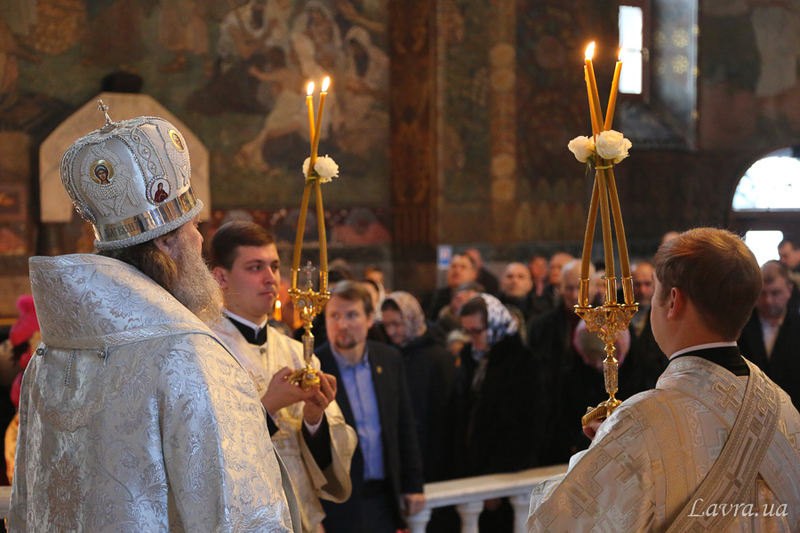 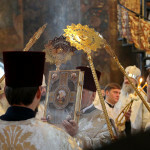 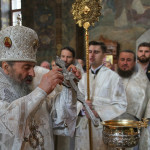 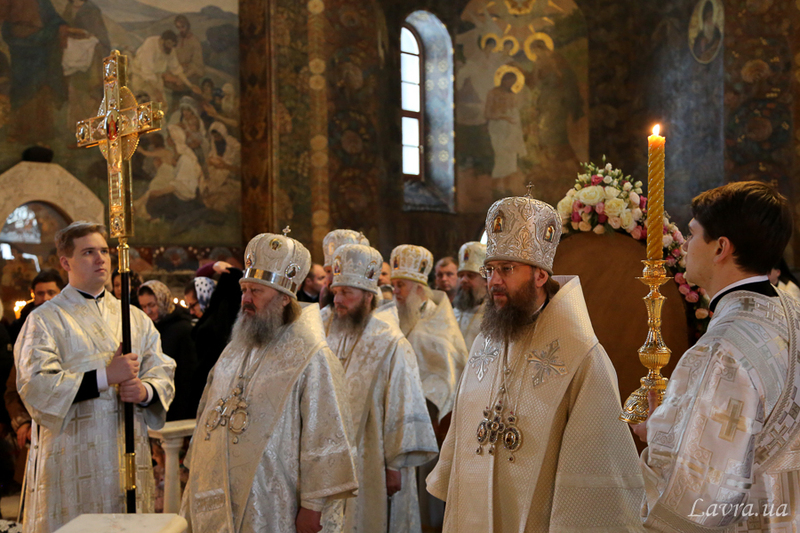 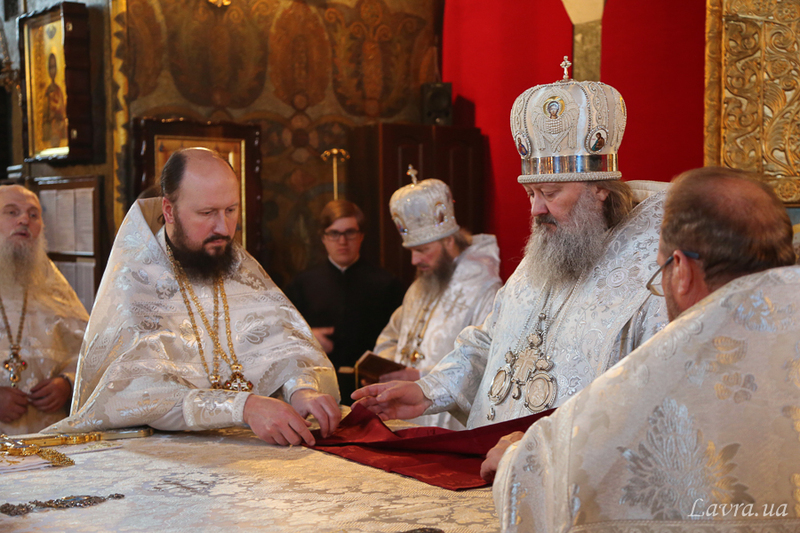 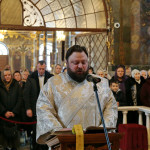 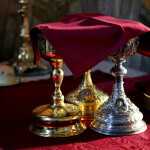 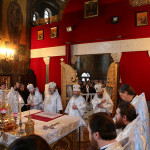 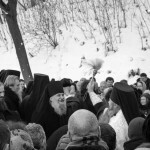 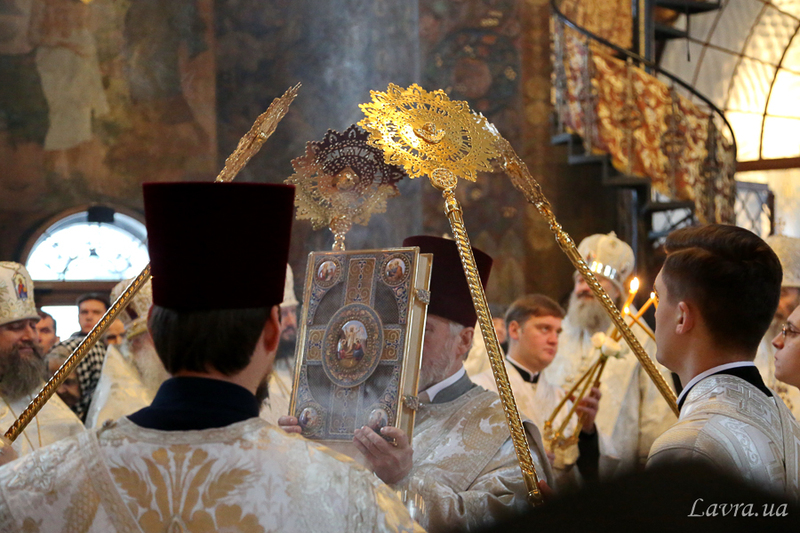 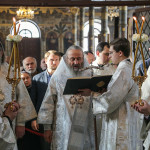 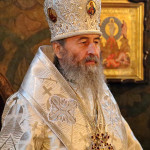 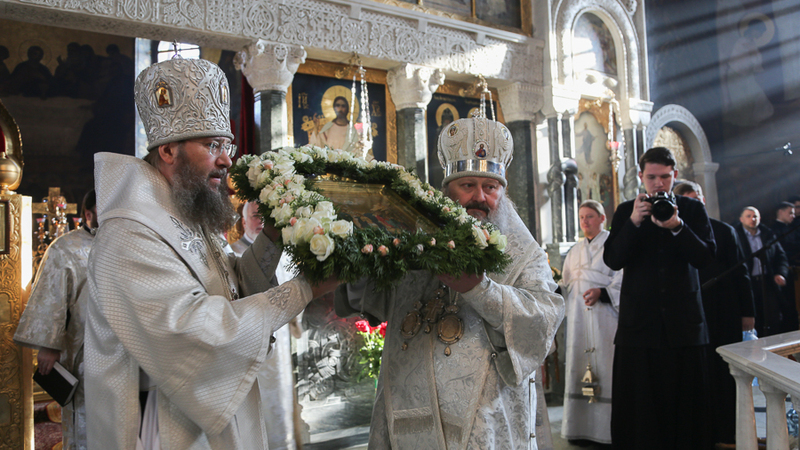 The Leader of UOC His Beatitude Metropolitan of Kyiv and All Ukraine Onuphrius headed the bishop’s service and the Great consecration of waters at the the Refectory church of Venerable Anthony and Theodosius Pechersky joined by vicegerent of the Lavra metropolitan of Vyshgorod and Chornobyl Pavel, bishops and priests.